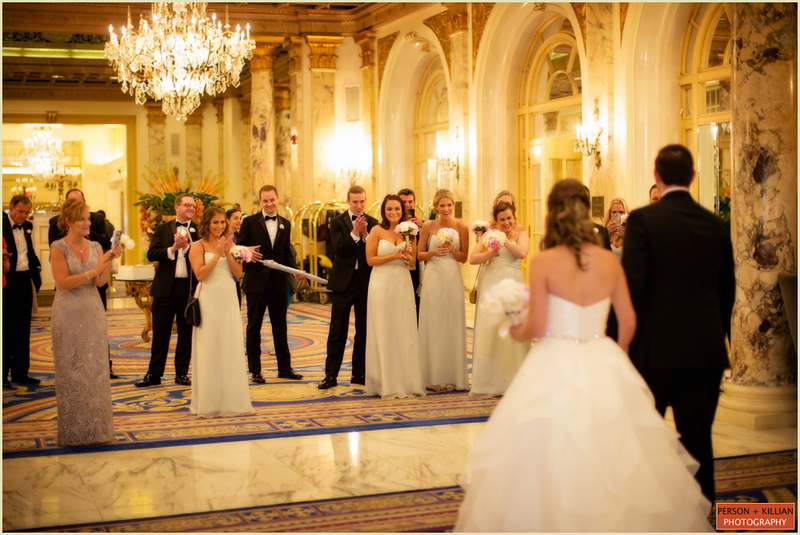 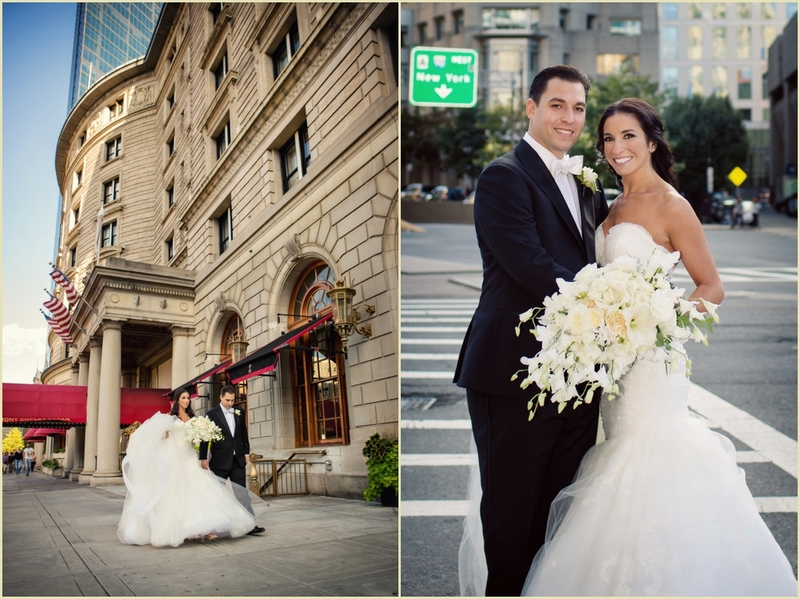 Leah and Craig’s sweet fall wedding at Boston’s Fairmont Copley Plaza was full of tradition and love. 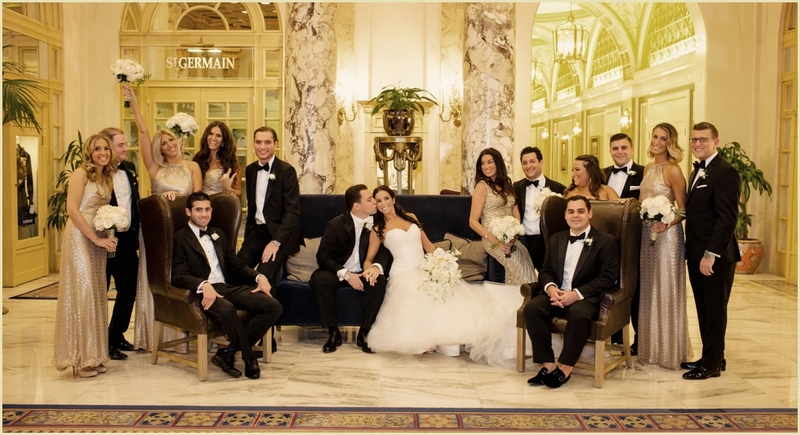 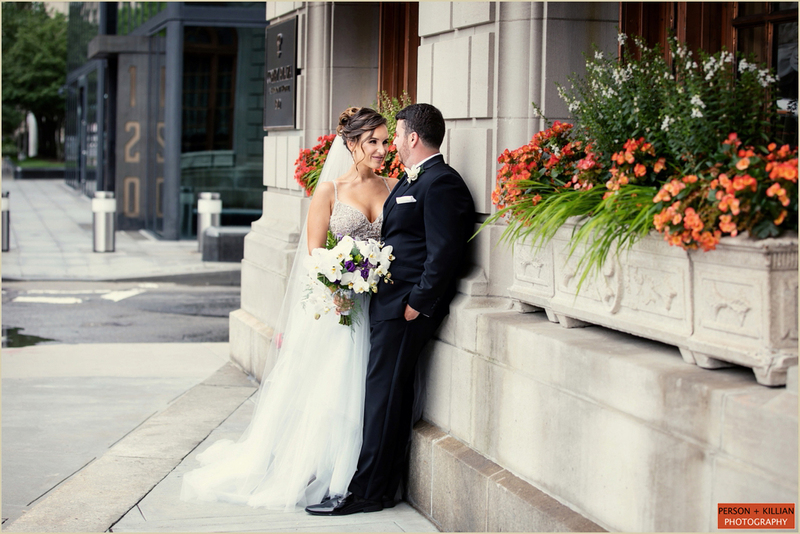 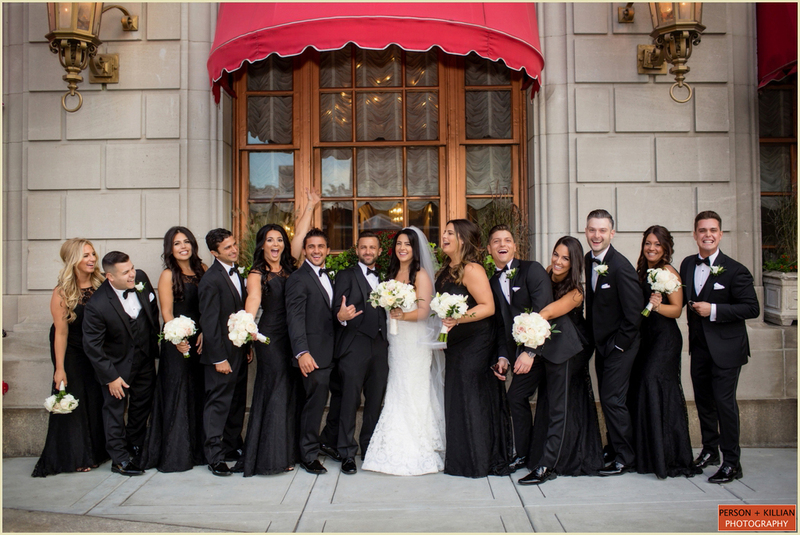 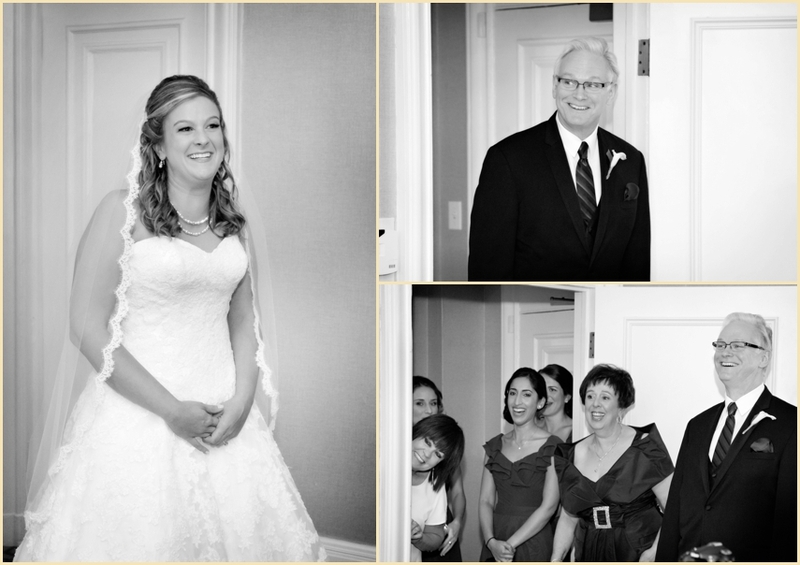 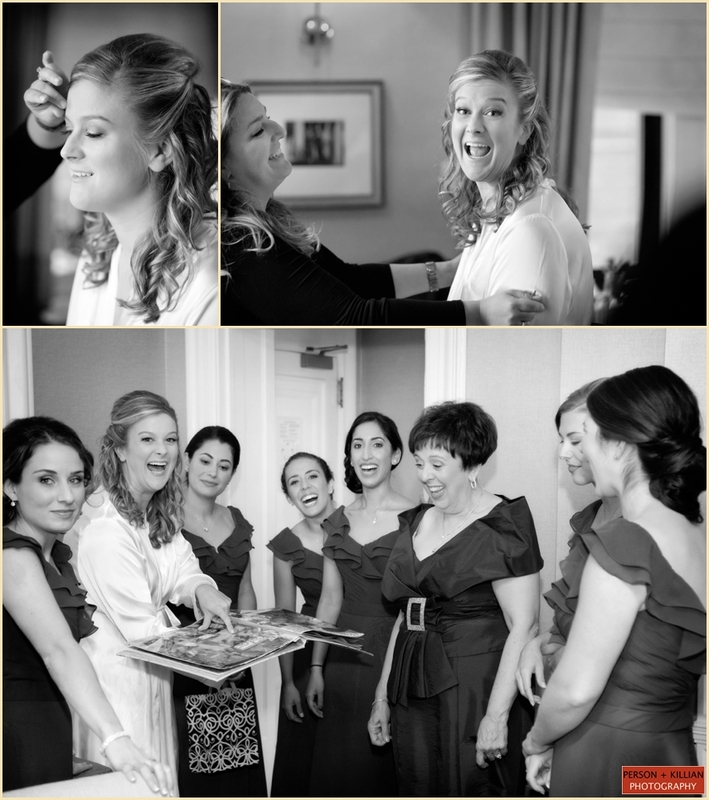 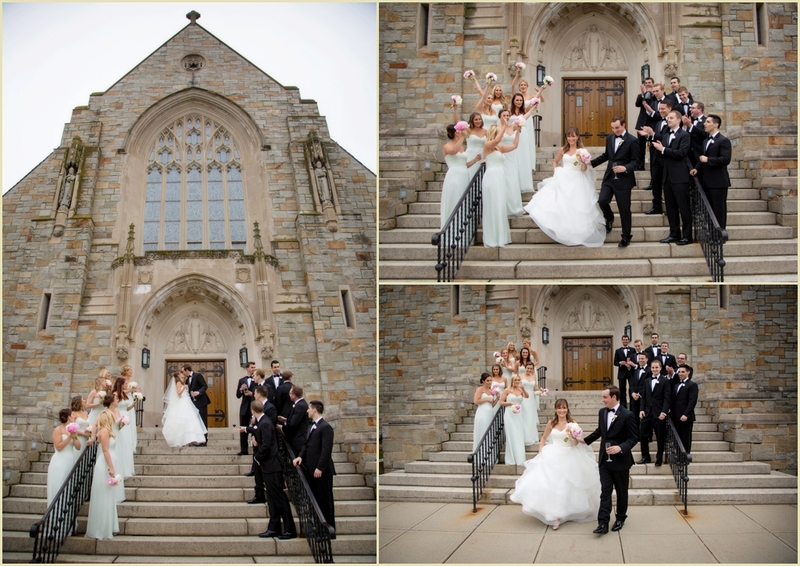 We began the crisp fall day joining the wedding parties in their suites at the Fairmont. 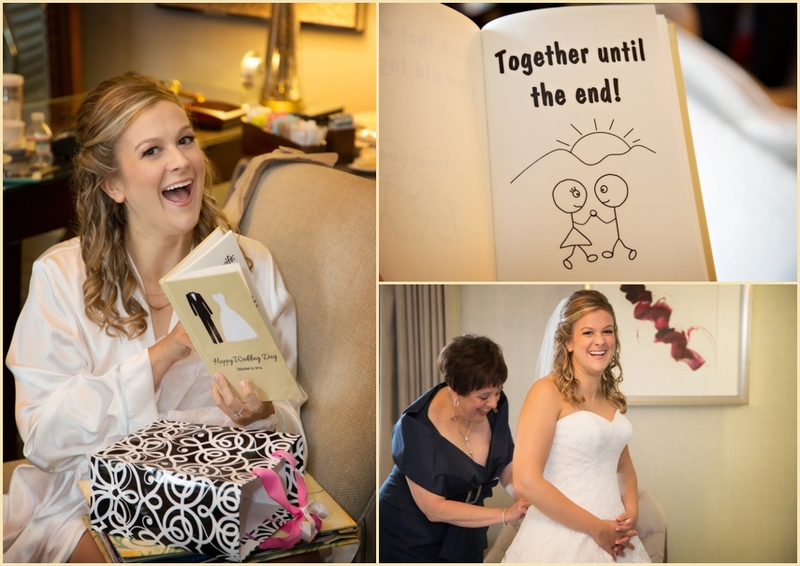 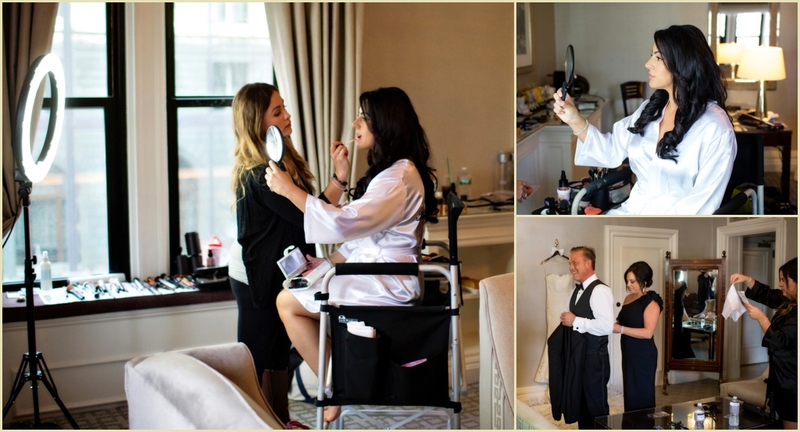 We found Leah and her loved ones preparing for the couple’s First Look. 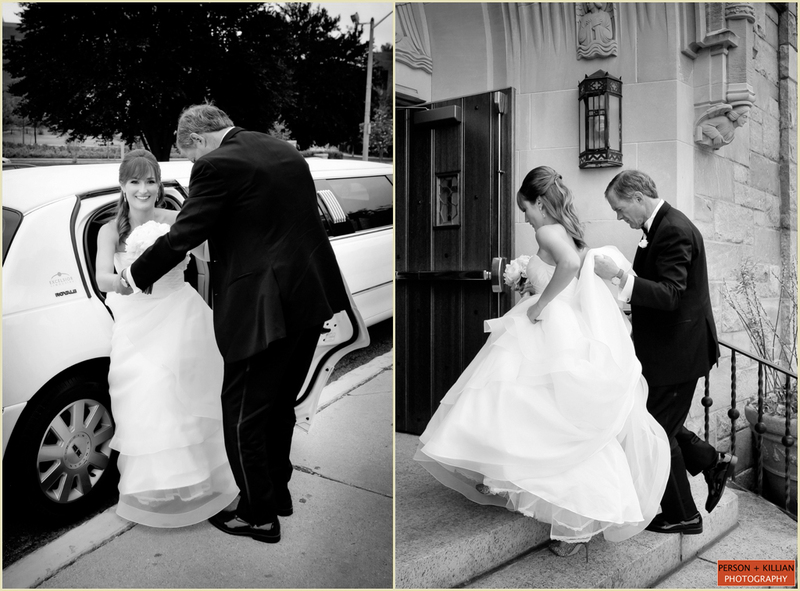 Leah dressed in a gorgeous ruffled gown from Michael De Paulo with sparkly Jimmy Choo shoes. 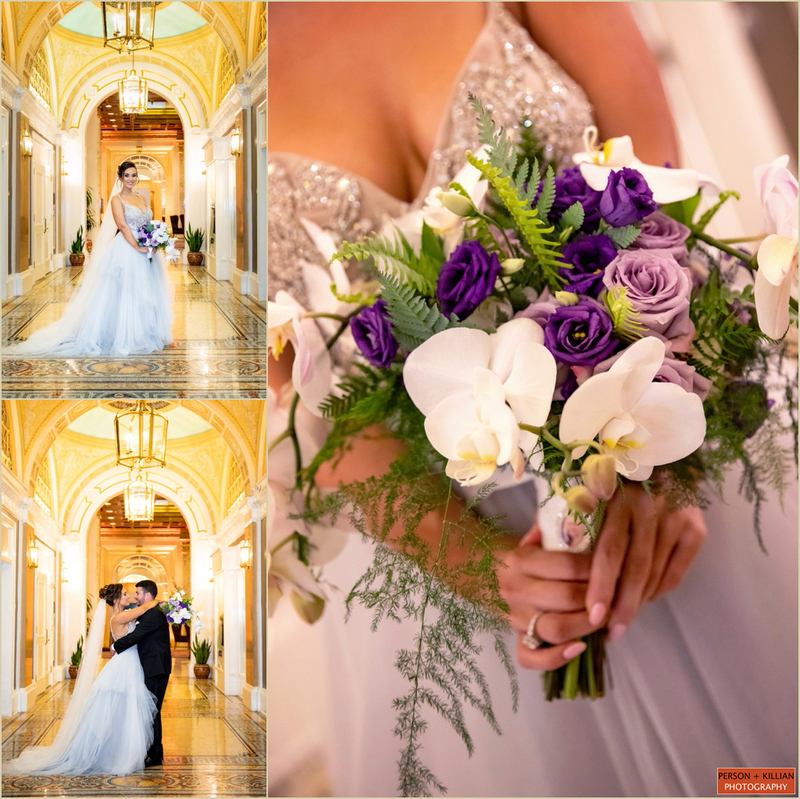 A lush and light bouquet of mixed fall flowers completed her stunning look. 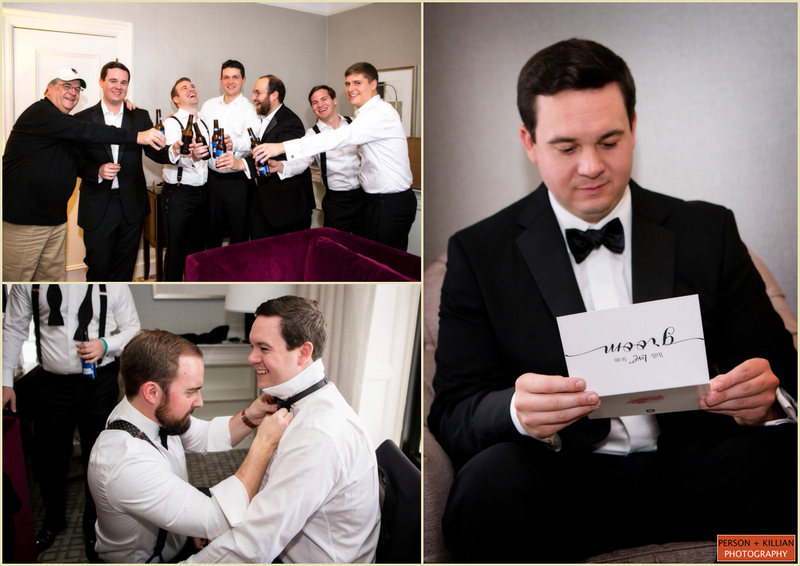 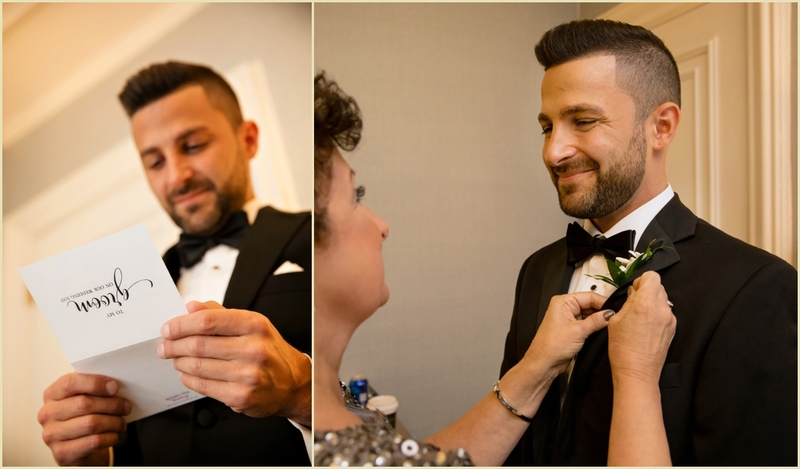 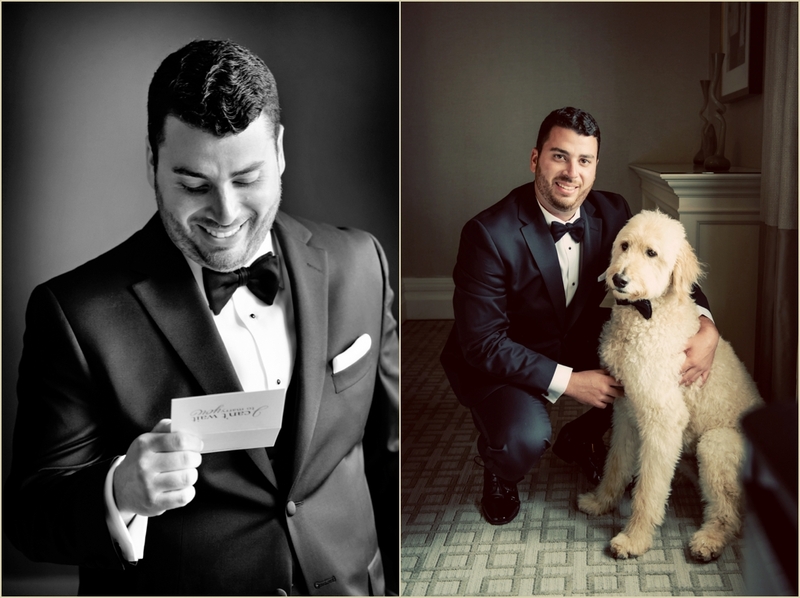 We captured a few fun moments of Craig before he dressed in a formal black-tie tuxedo and we made our way to the much anticipated First Look. 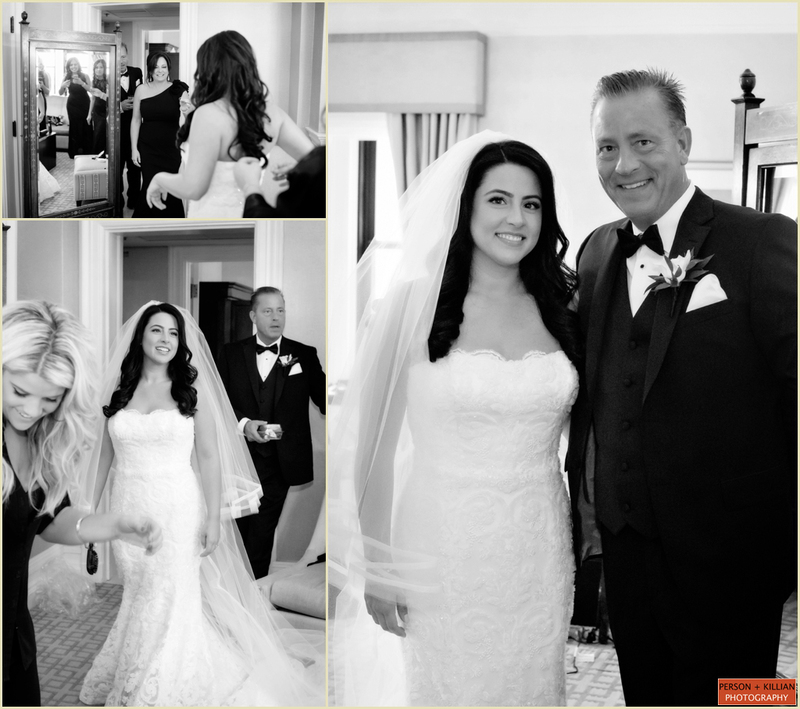 After a private and tender moment seeing each other for the first time, Leah and Craig readied for their Bedeken or Veiling Ceremony. 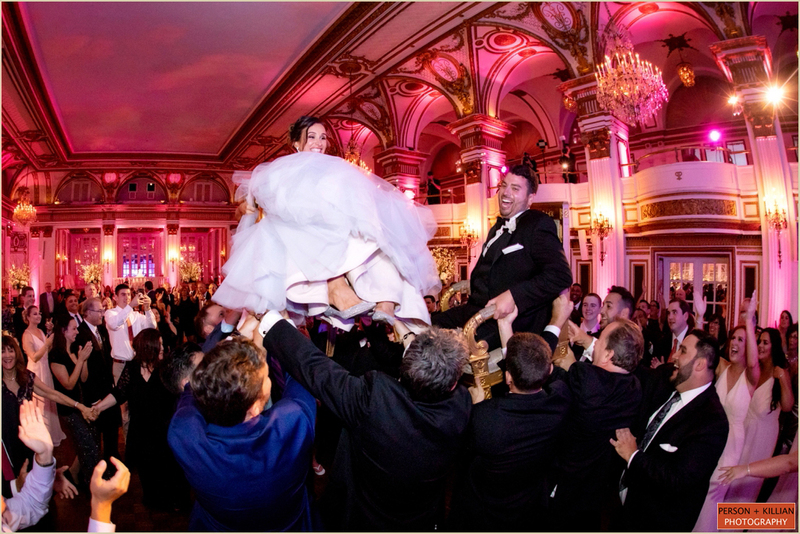 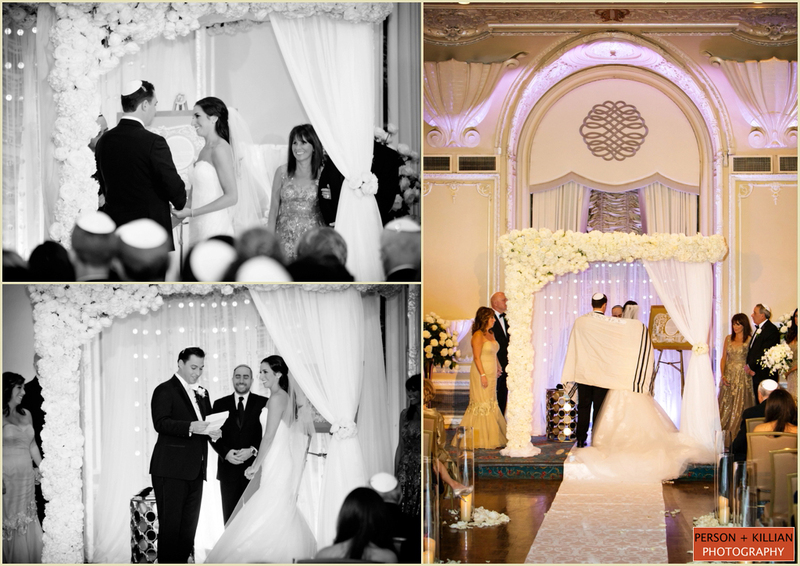 This Jewish tradition involves the veiling of the bride — the bedeken — “where the bride and groom’s families meet and the groom confirms that the bride is his intended, then covers her face with a veil.” (and what a veil it was!) 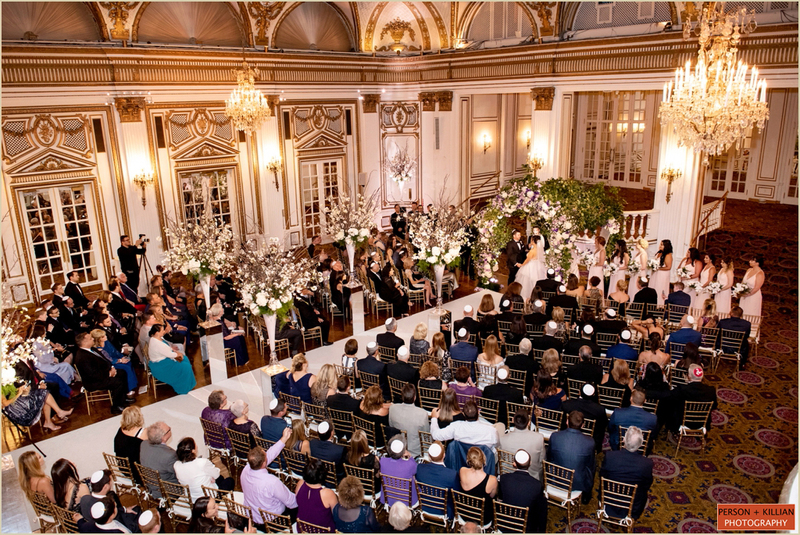 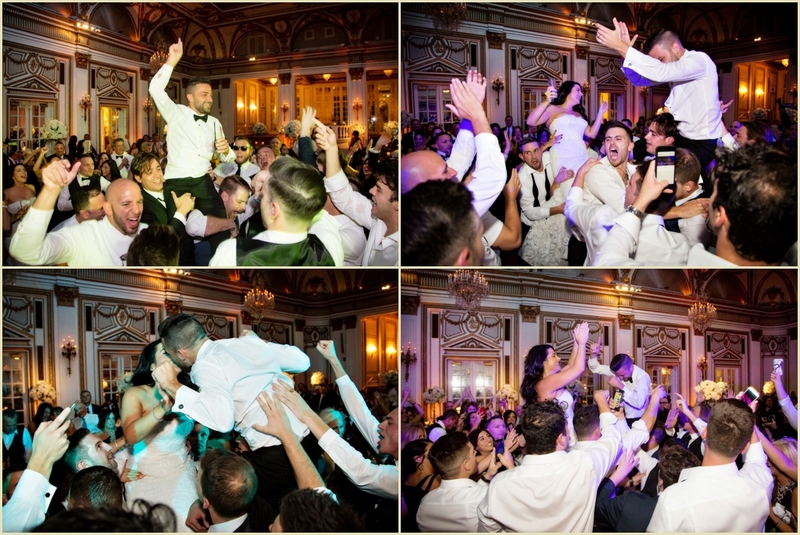 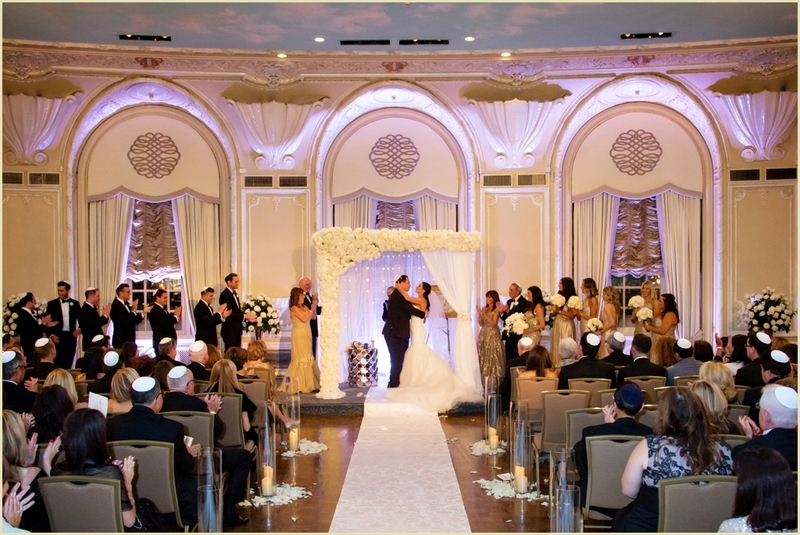 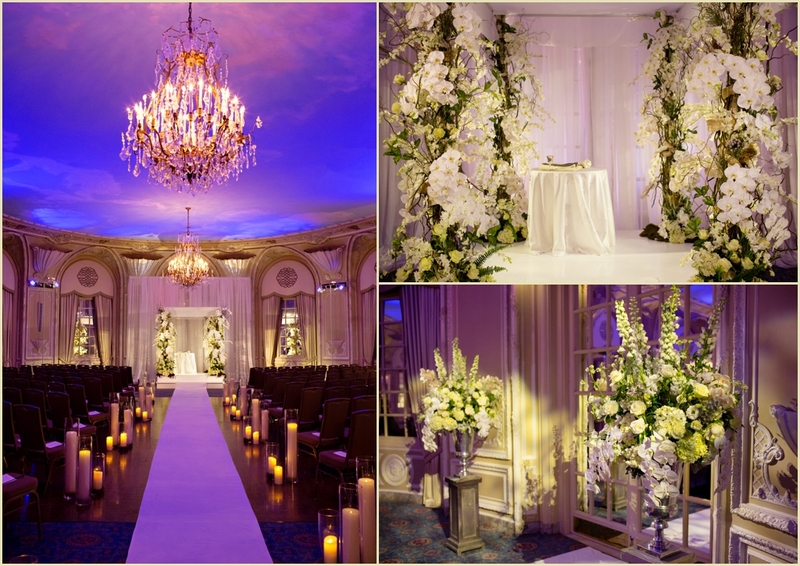 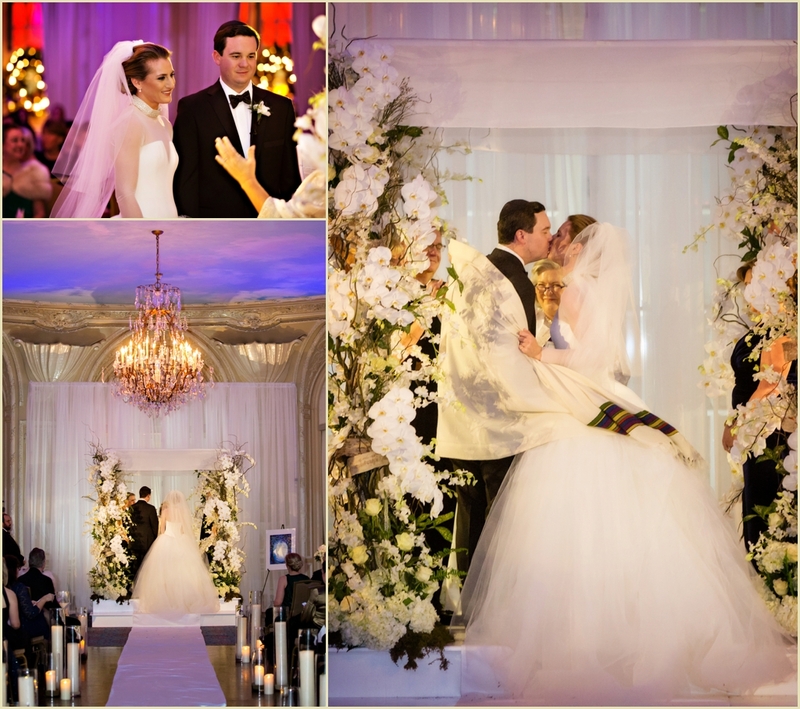 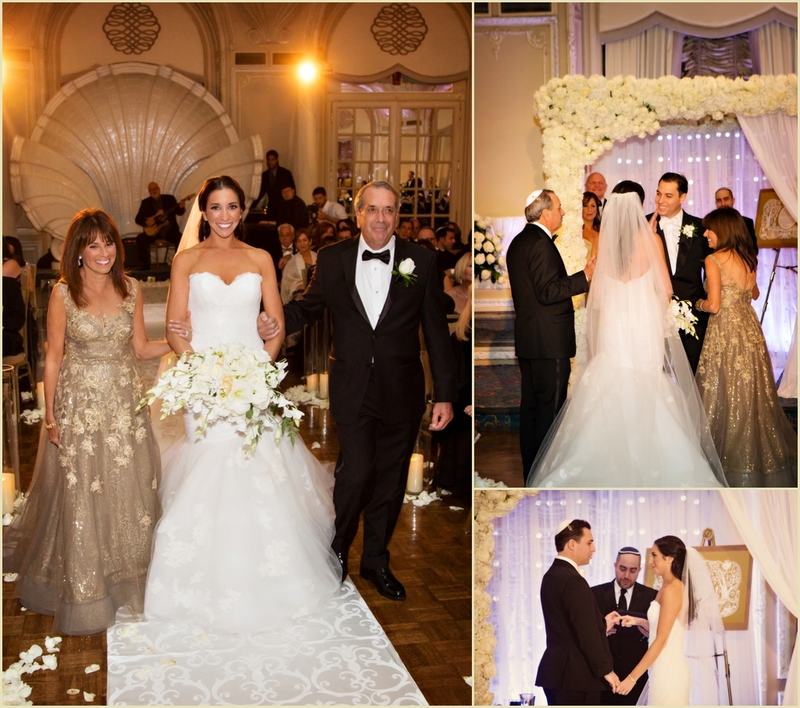 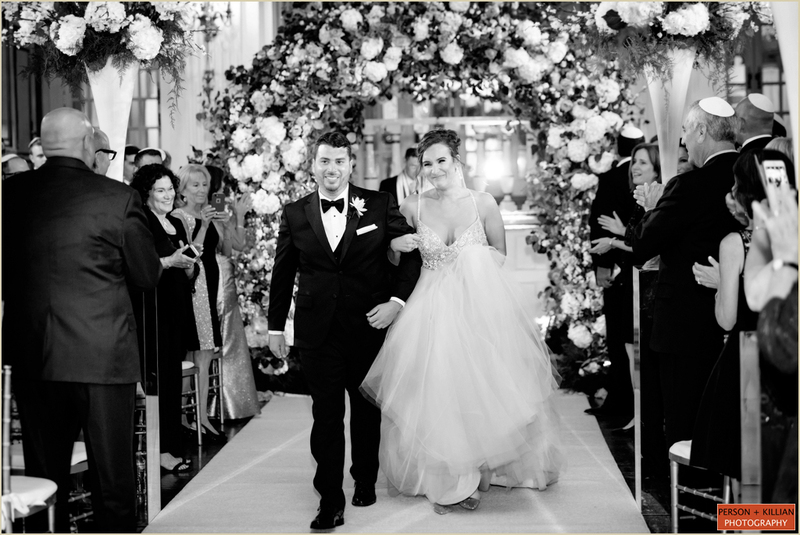 Immediately following, the wedding ceremony was in the Grand Ballroom under a customary wedding chuppah. 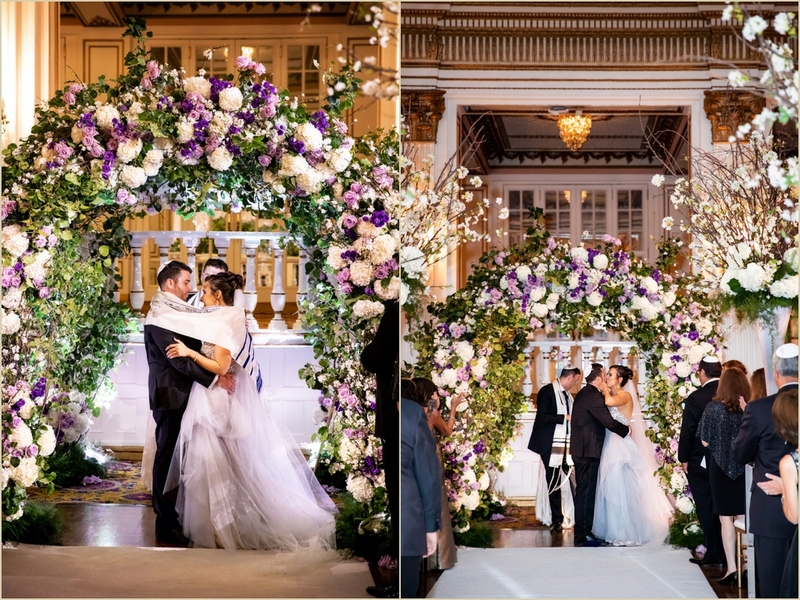 A white aisle runner laden with petals led to a polished and reflective chuppah that was surrounded by lush floral arrangements. 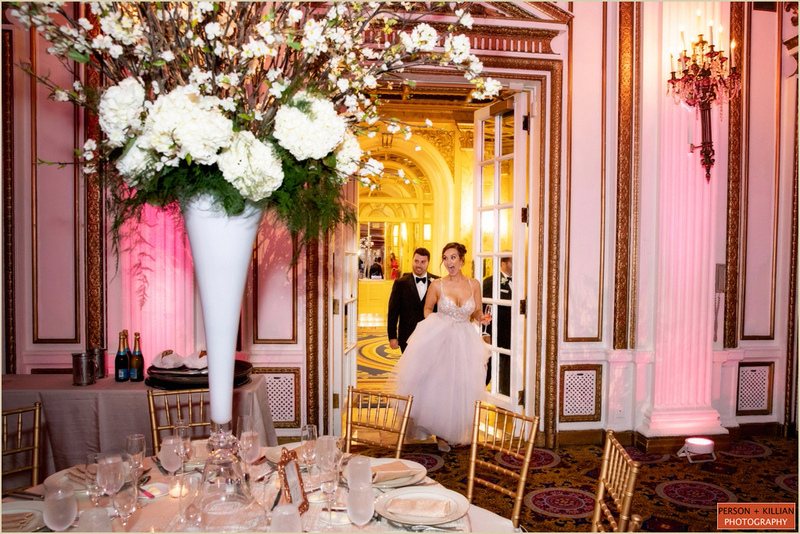 After the traditional ceremony, guests headed to cocktail hour where the atmosphere was cheerful, full with great conversations. 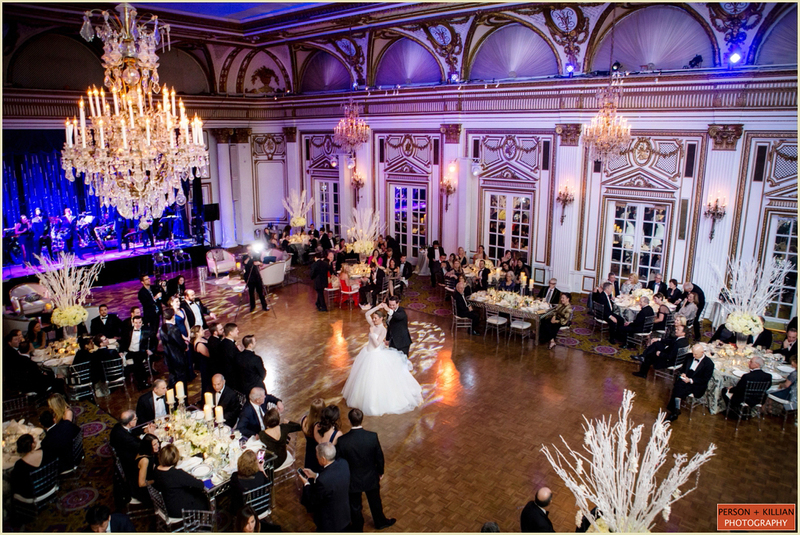 Guests made their way back to the transformed Grand Ballroom for the reception. 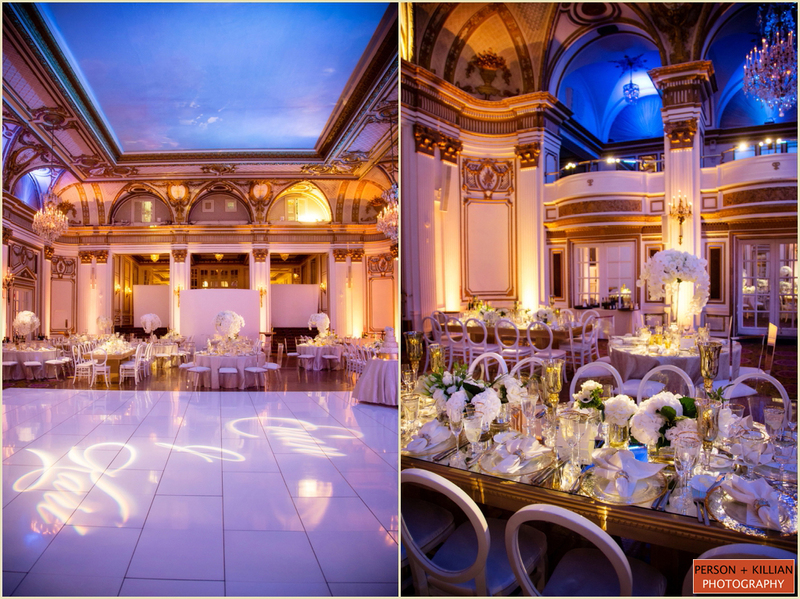 The ballroom was radiant with a complementing palette of golds and creams with pops of fall colors. 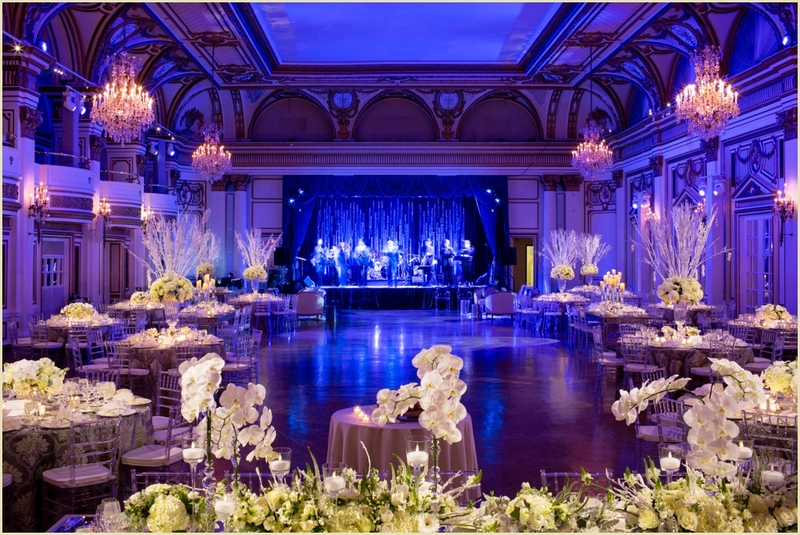 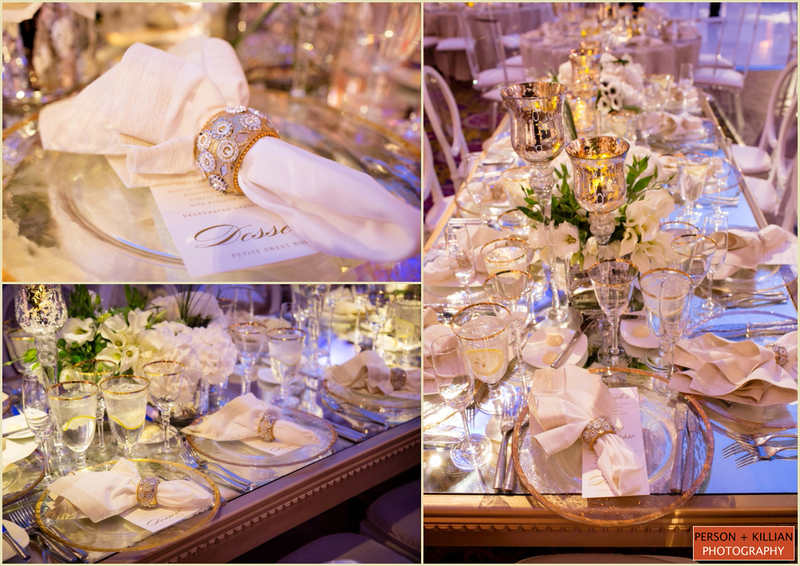 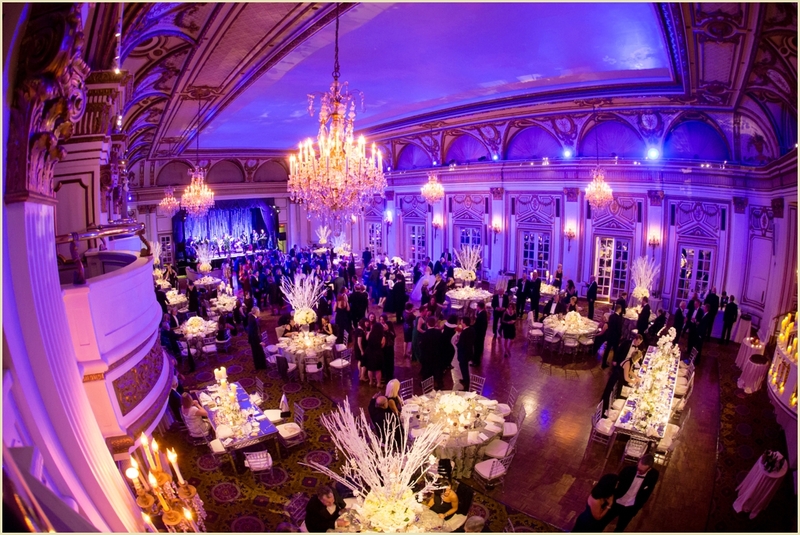 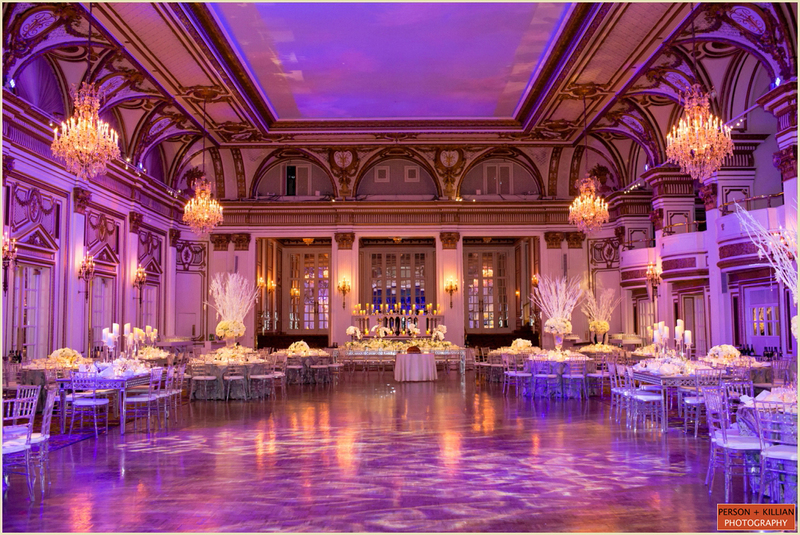 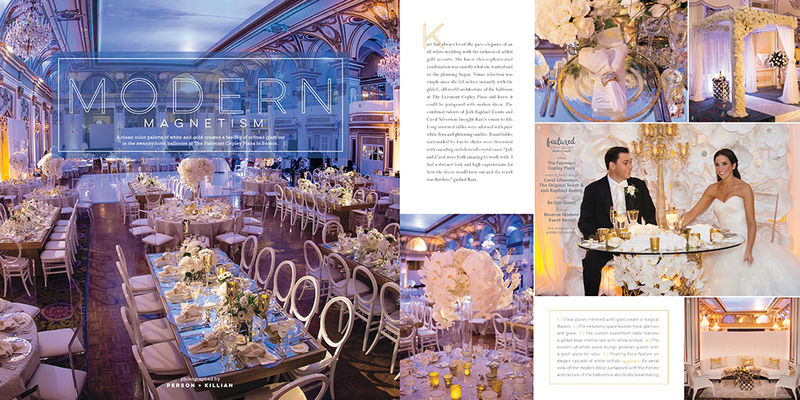 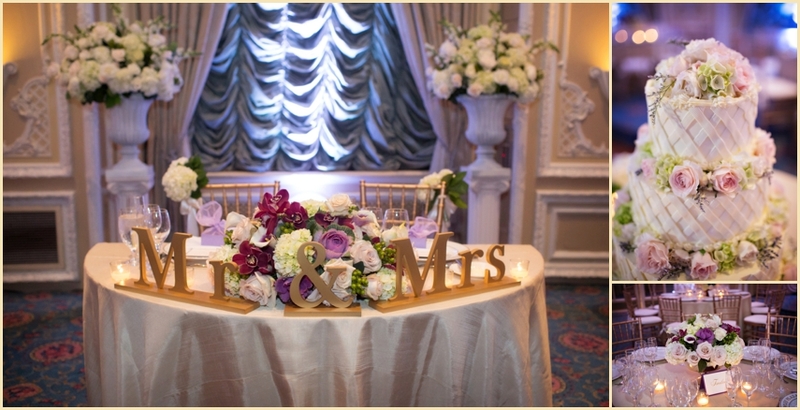 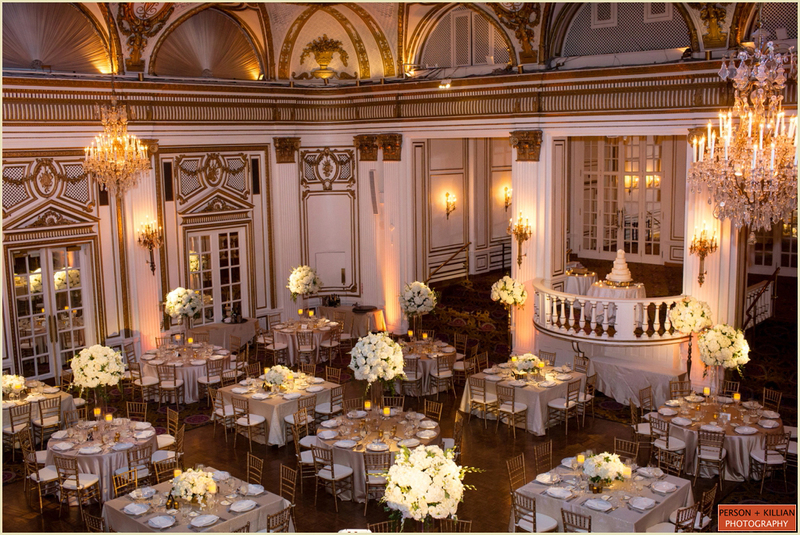 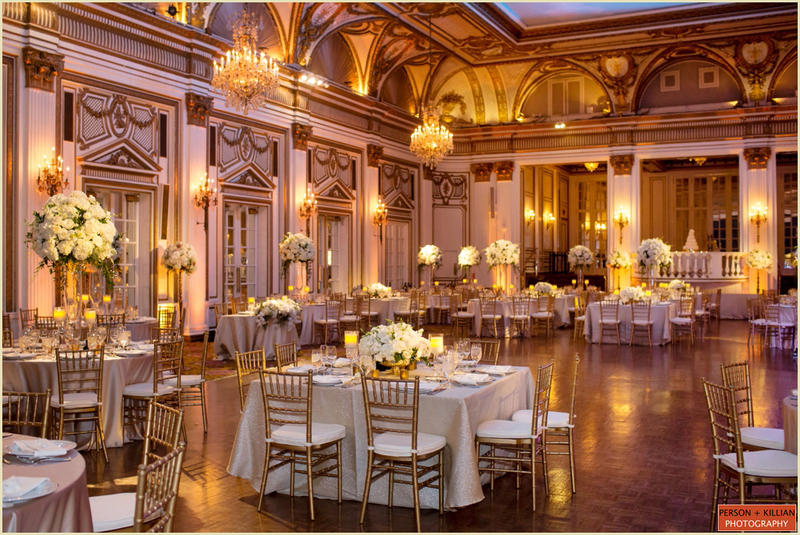 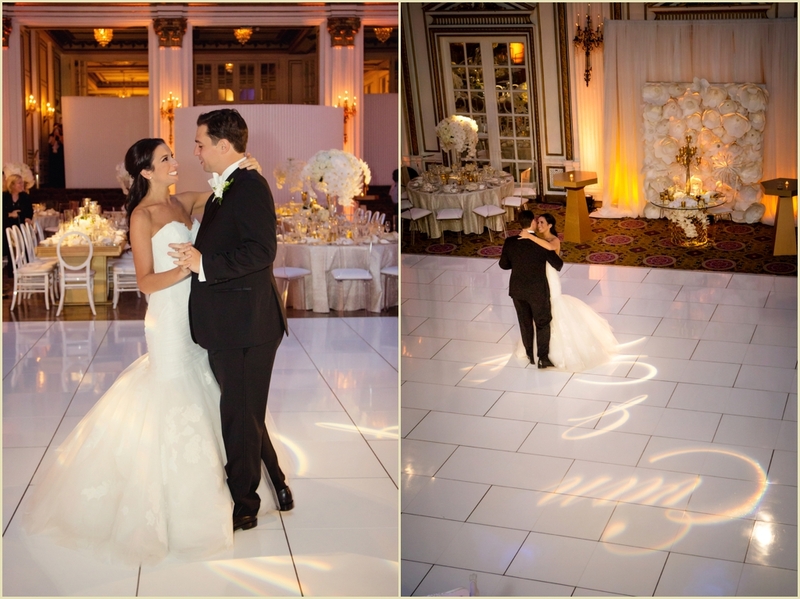 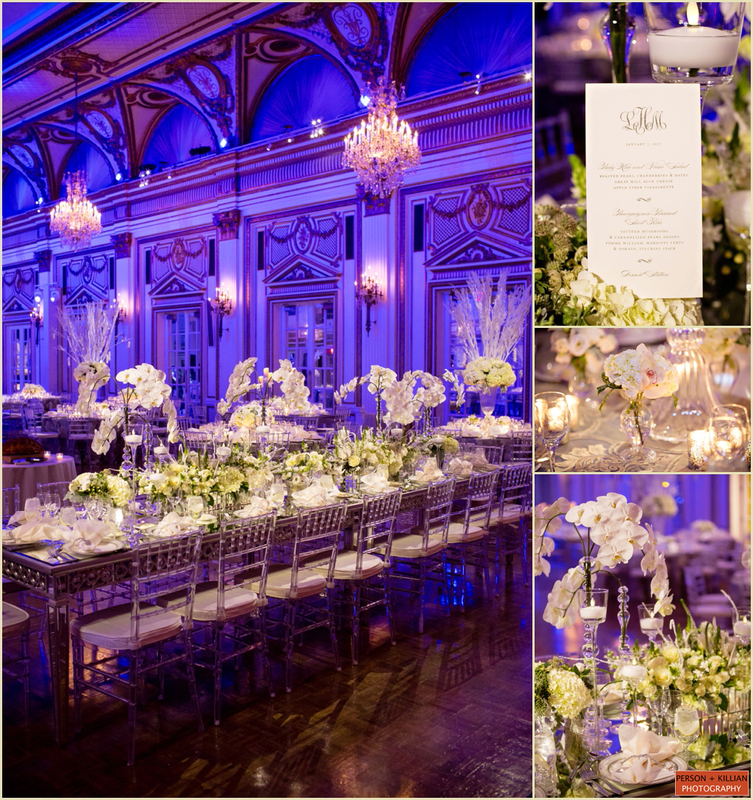 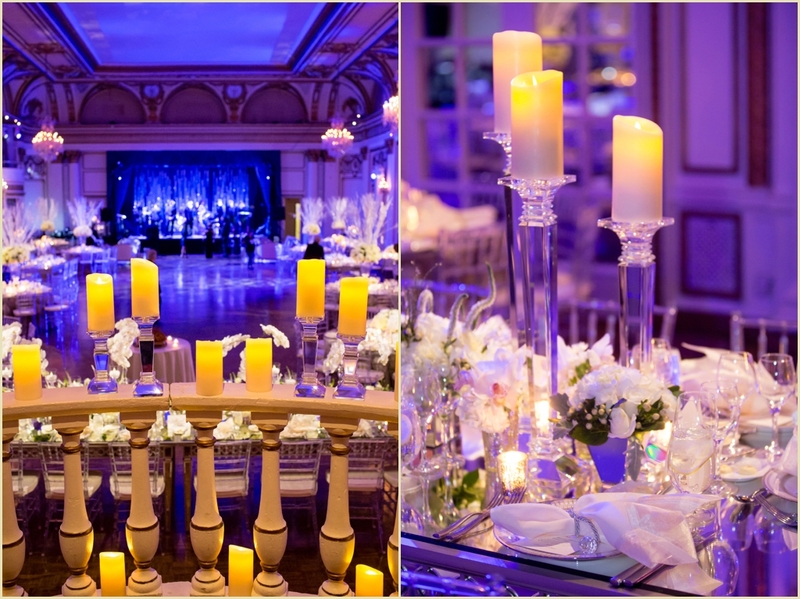 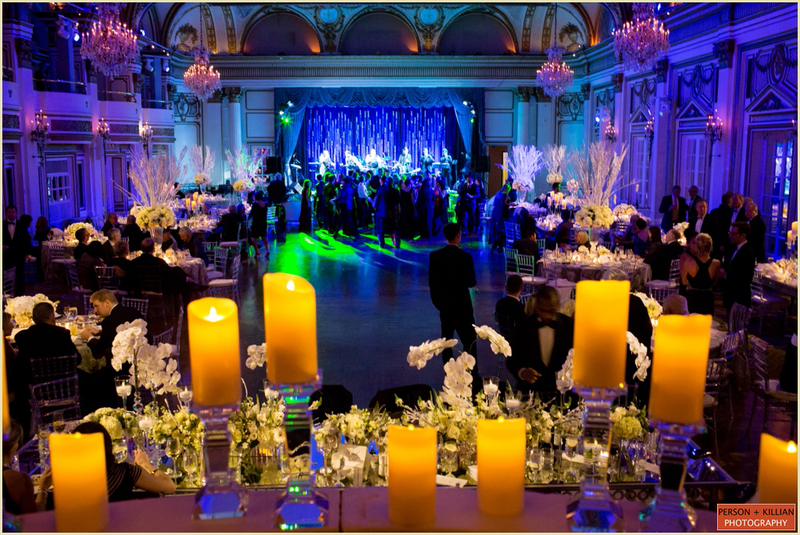 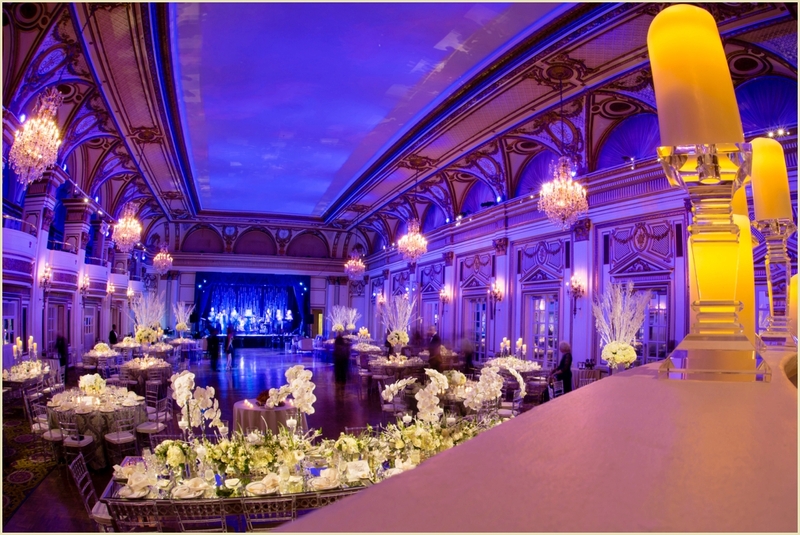 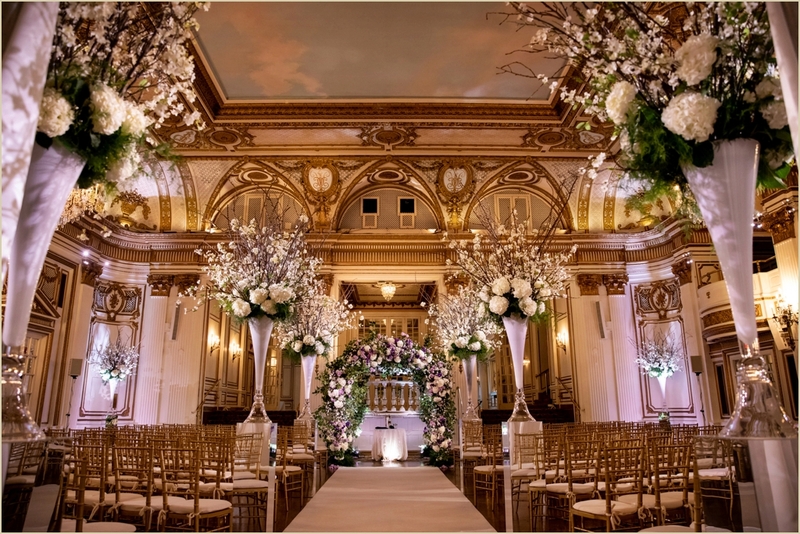 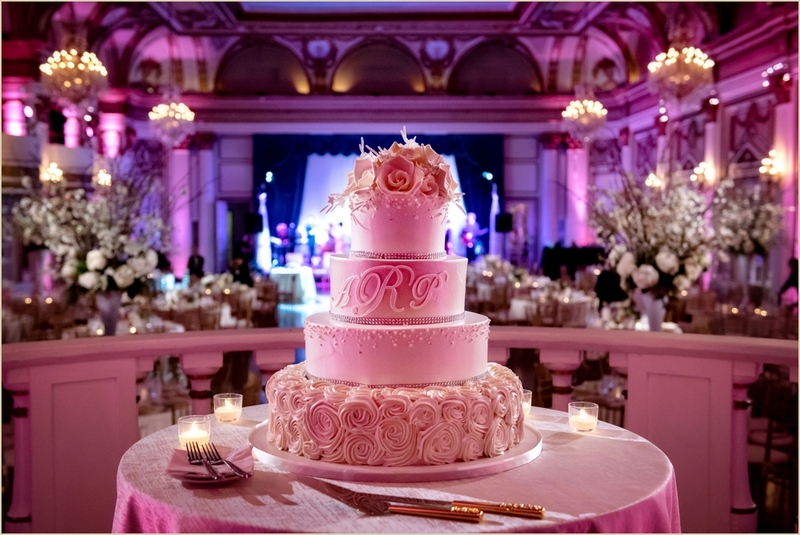 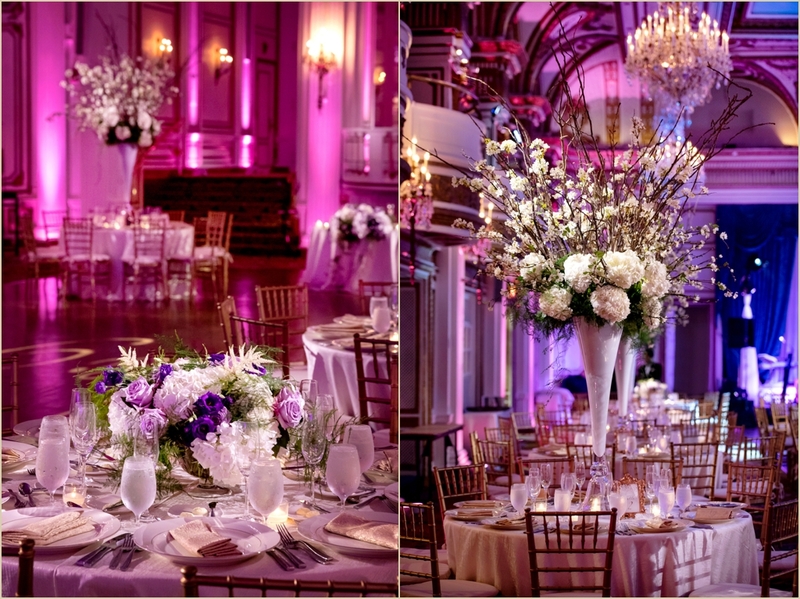 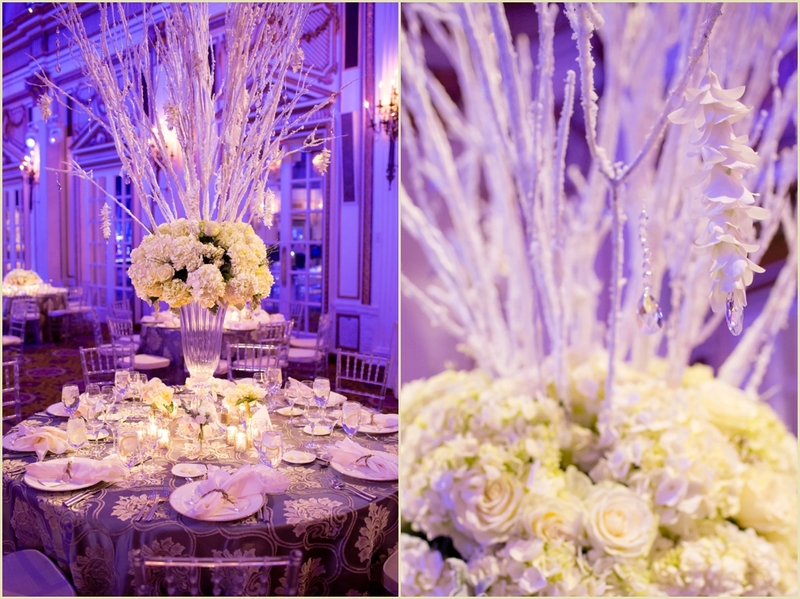 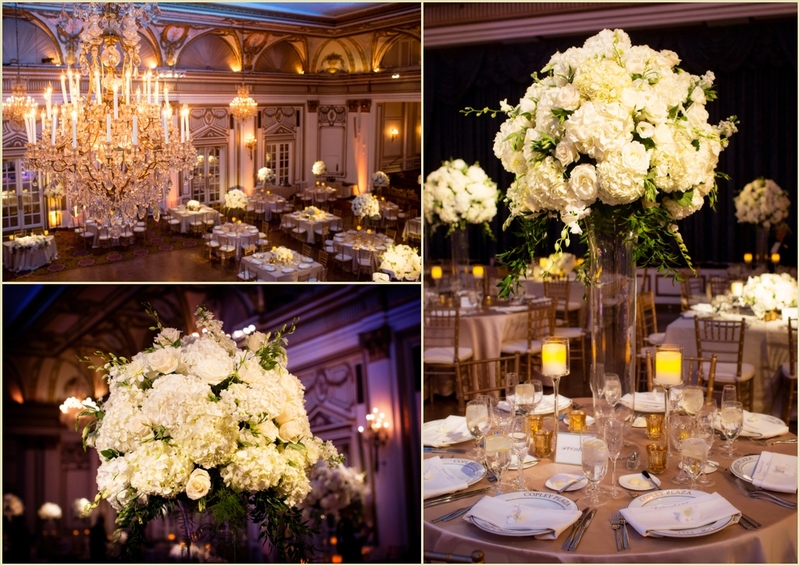 Tall floral arrangements with candlelight and gold-rimmed mirrored table numbers felt right at home in the ballroom. 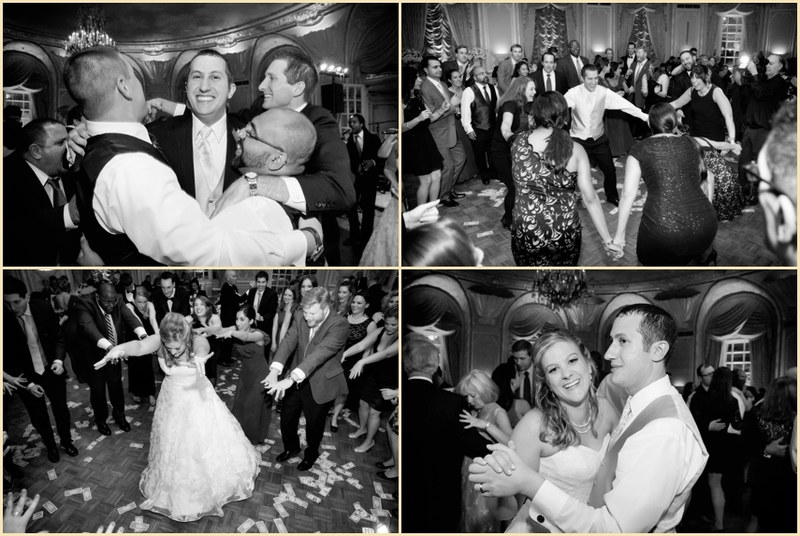 Full of laughter and celebrations, the evening continued with toasts, dinner and lots and lots of dancing! 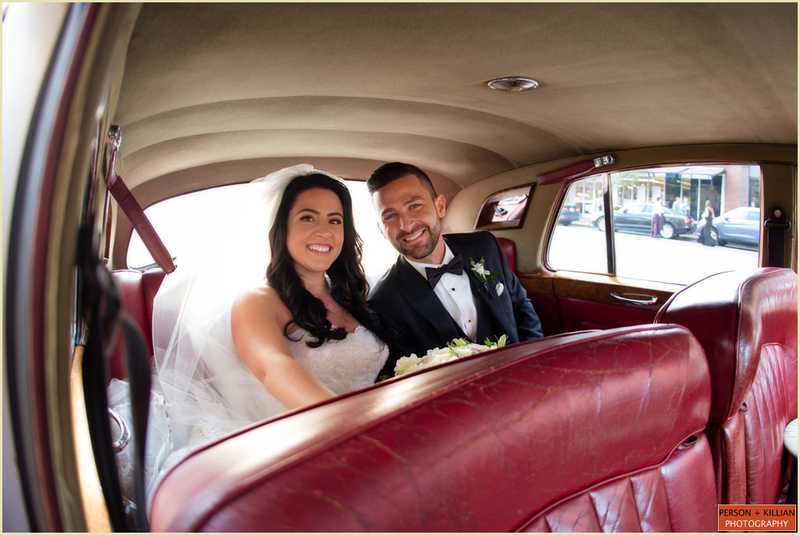 We adored capturing this sweet & loving couple’s day; Leah and Craig – you and your families are both gracious and kind – thank you for letting Person + Killian Photography capture this exceptional day! 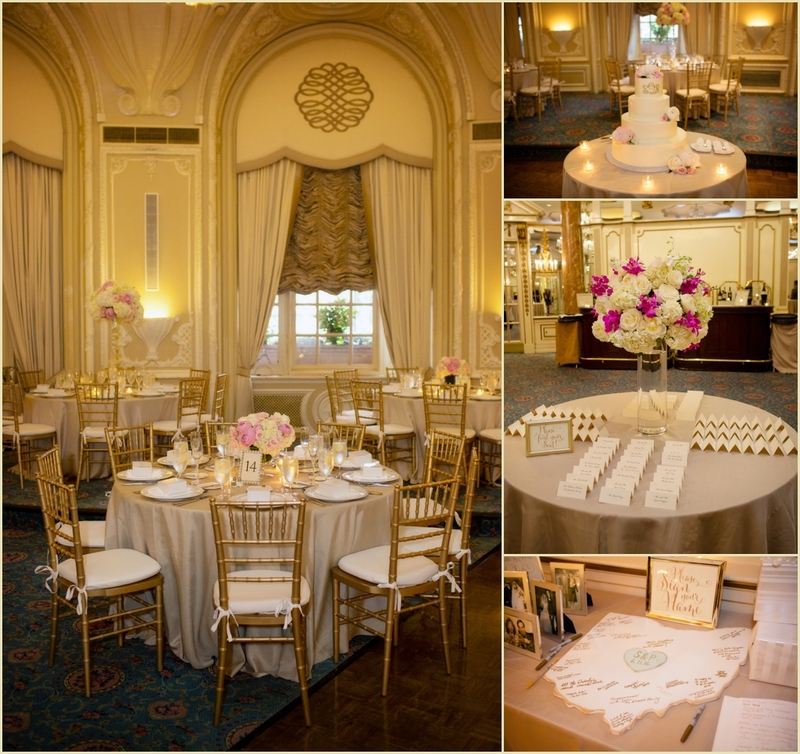 As always, thank you to our fellow vendors, and Tracey Gavin and her skillful team at the Fairmont! 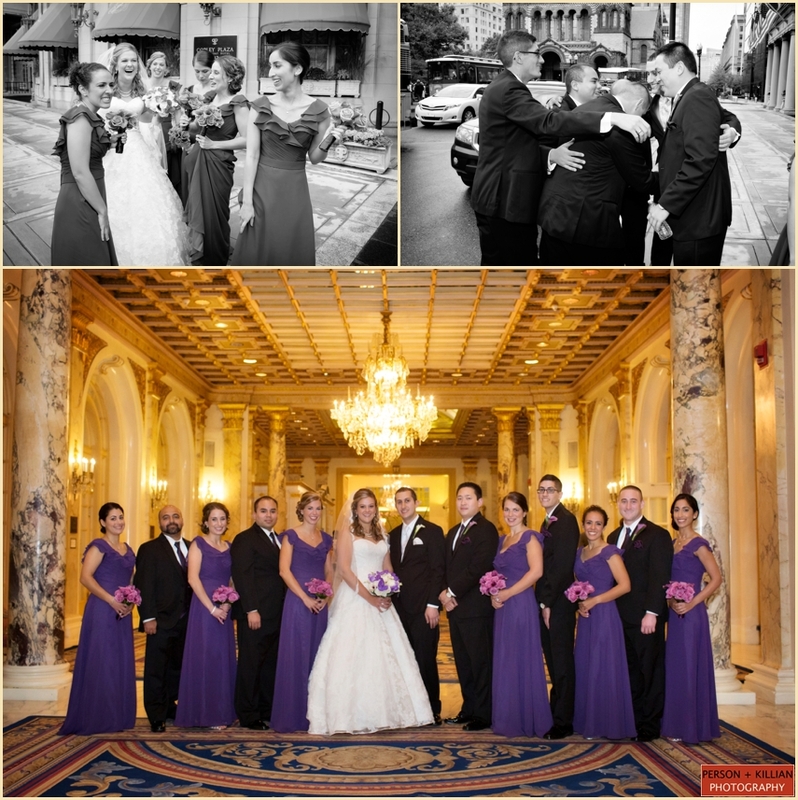 This Classic Fall Wedding at Boston’s Fairmont Copley Plaza was photographed by Boston Wedding photographers Person + Killian Photography. 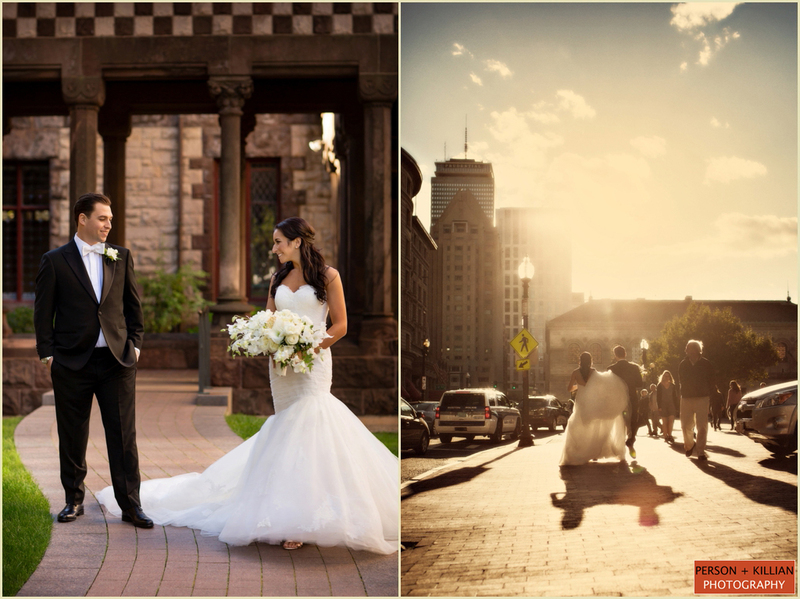 You can reach Jill and Lauren directly through their site at www.PersonKillian.com or via phone 617-236-1662. 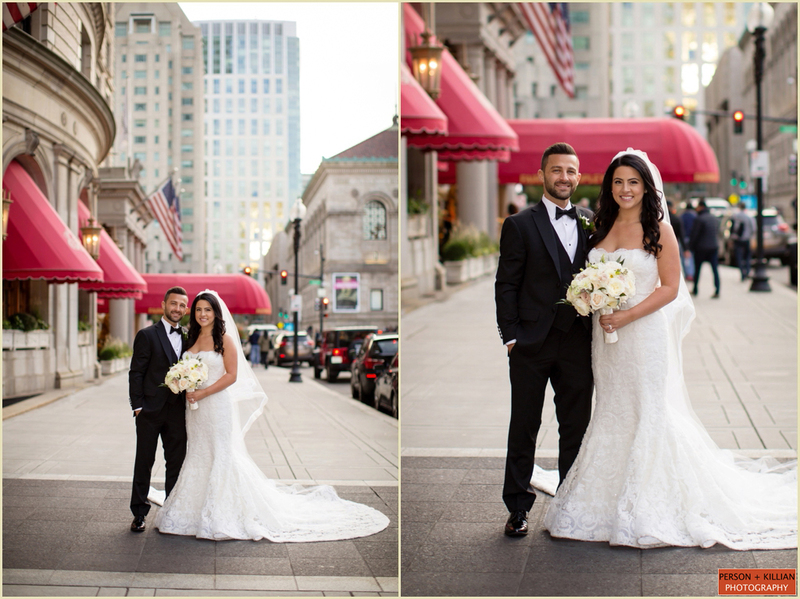 You can also email them directly at [email protected] or [email protected] To see more Fall Wedding at Boston’s Fairmont Copley Plaza, please click here. 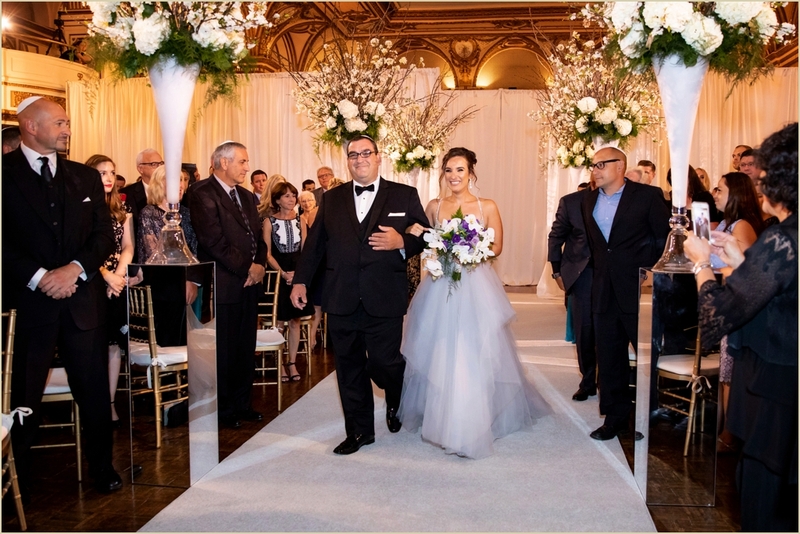 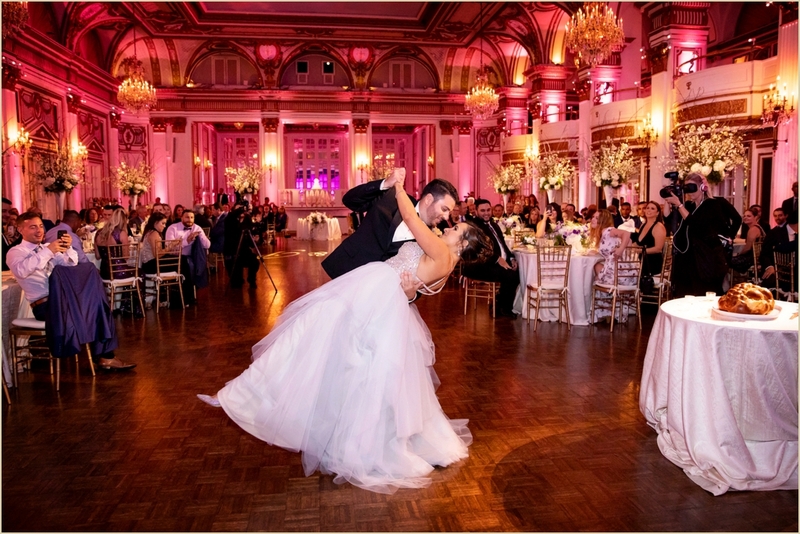 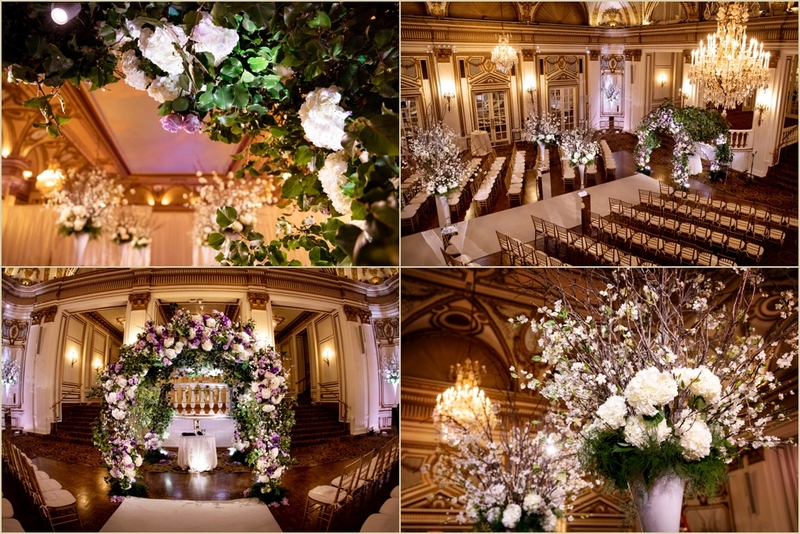 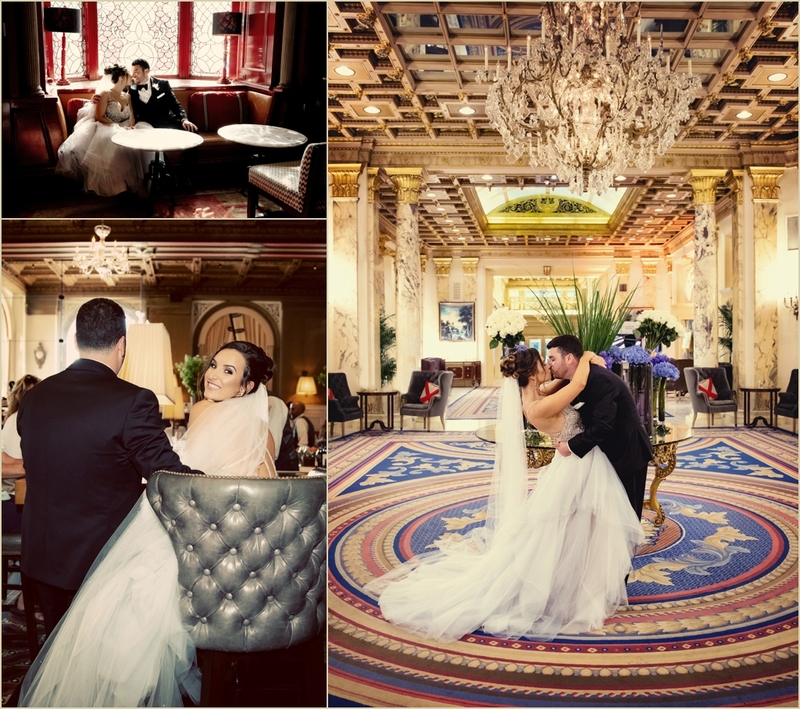 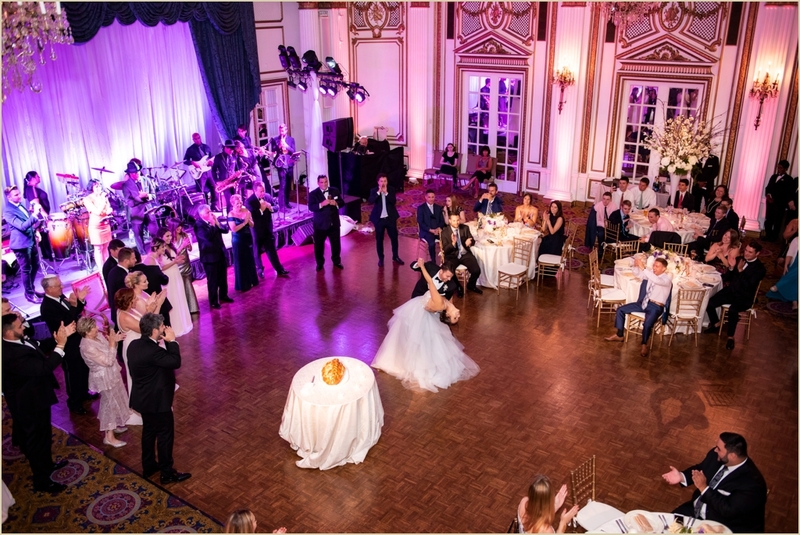 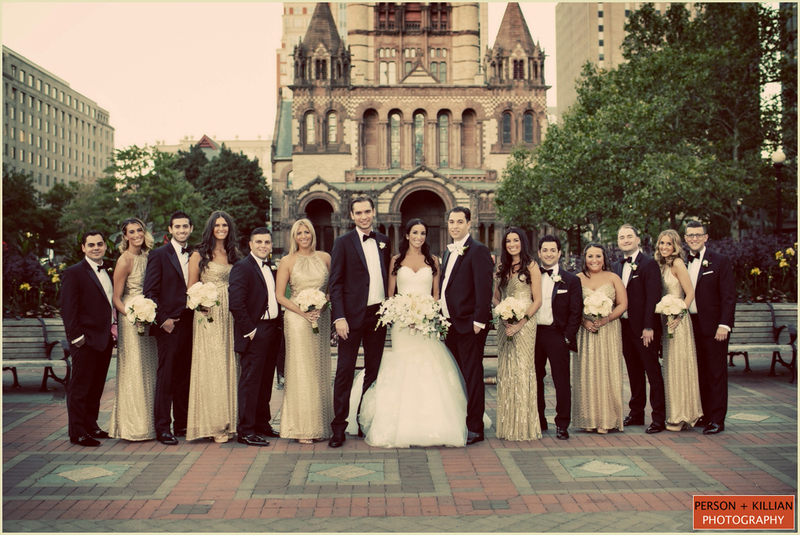 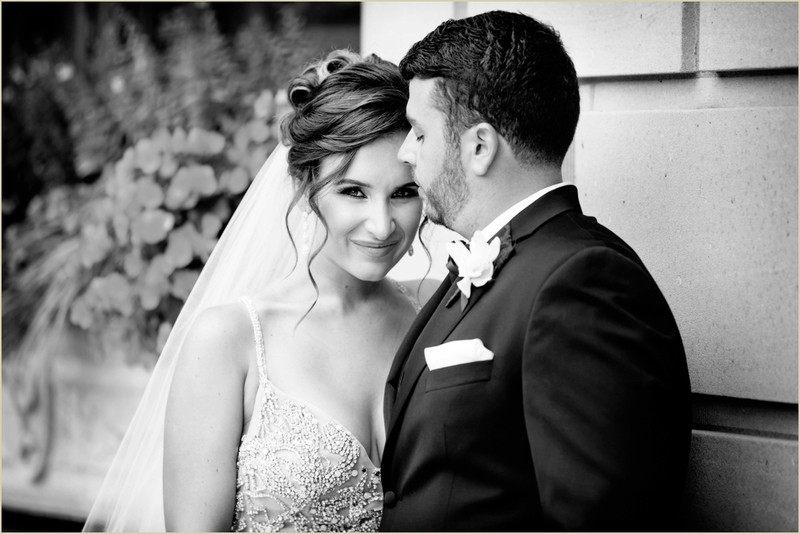 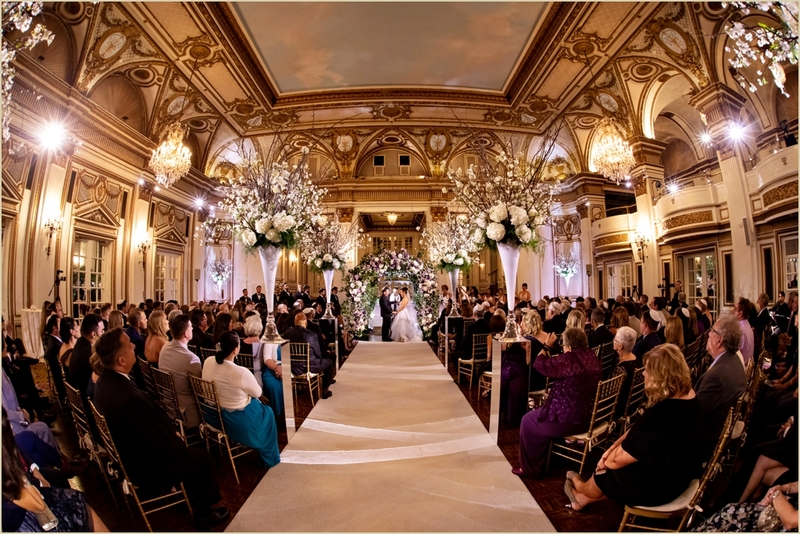 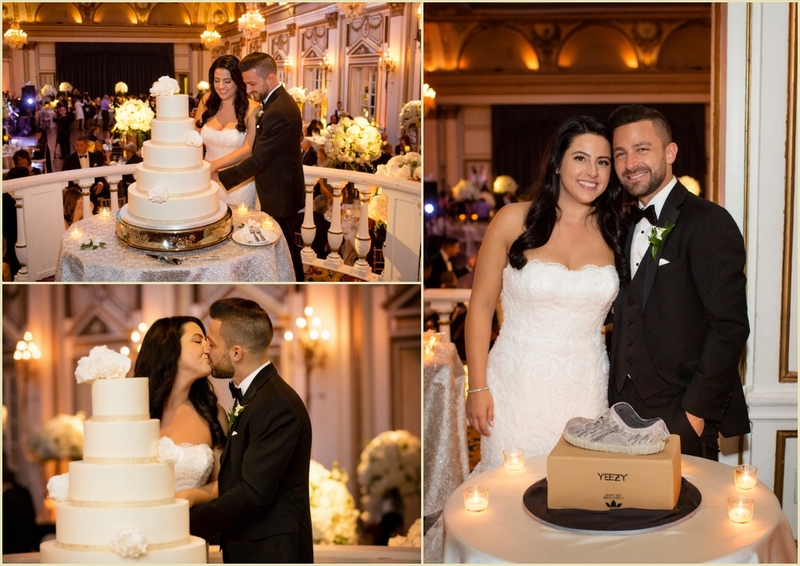 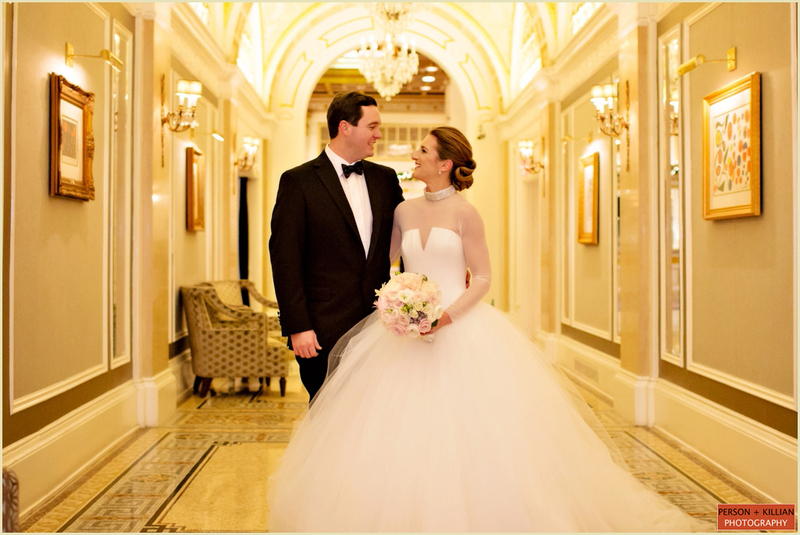 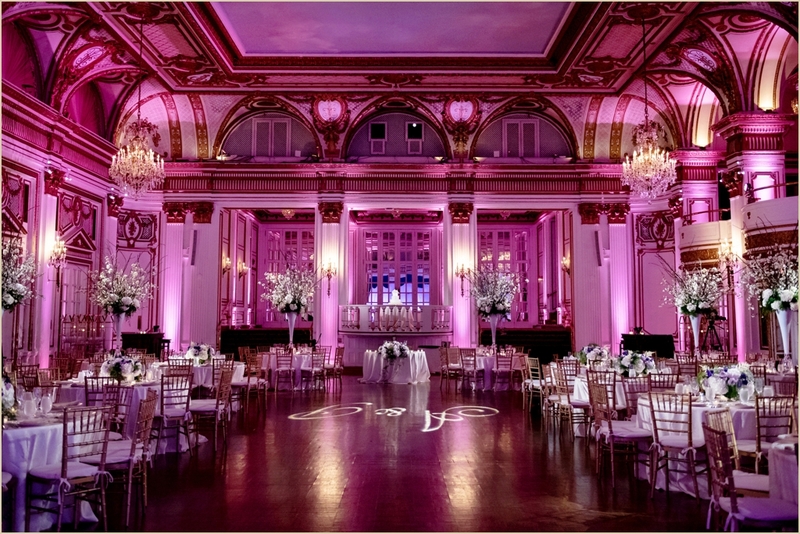 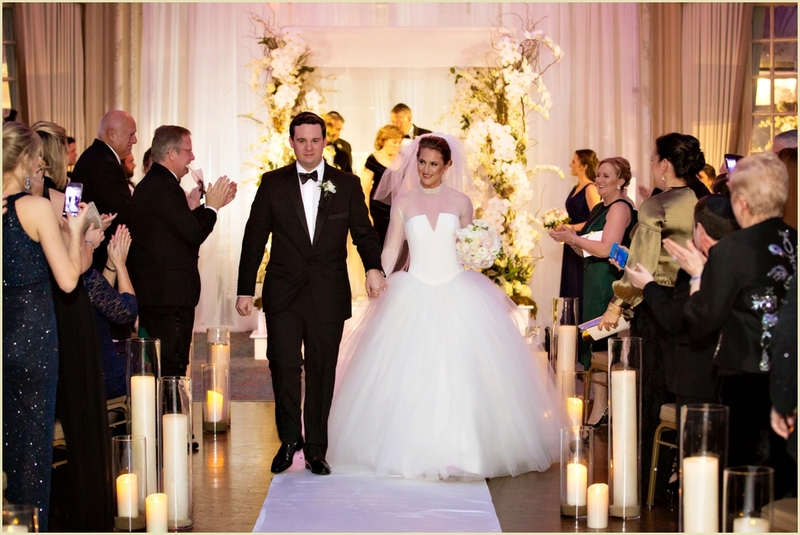 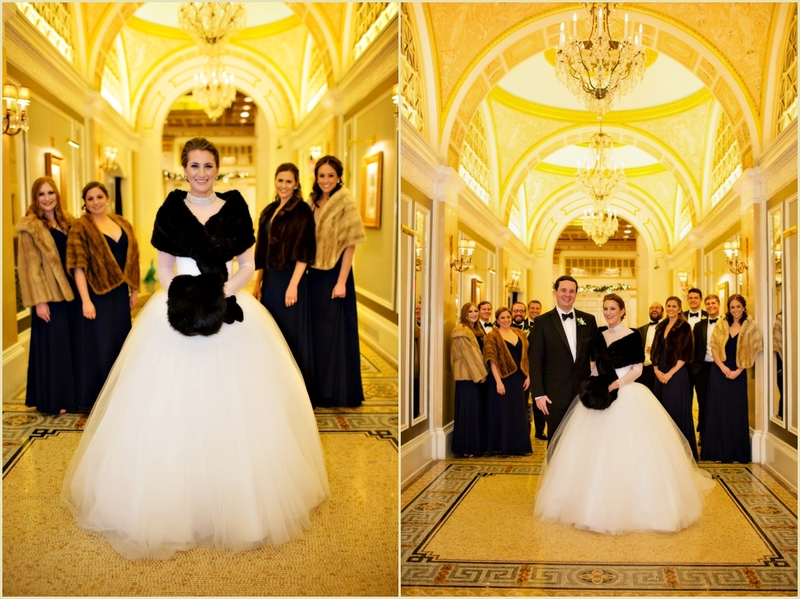 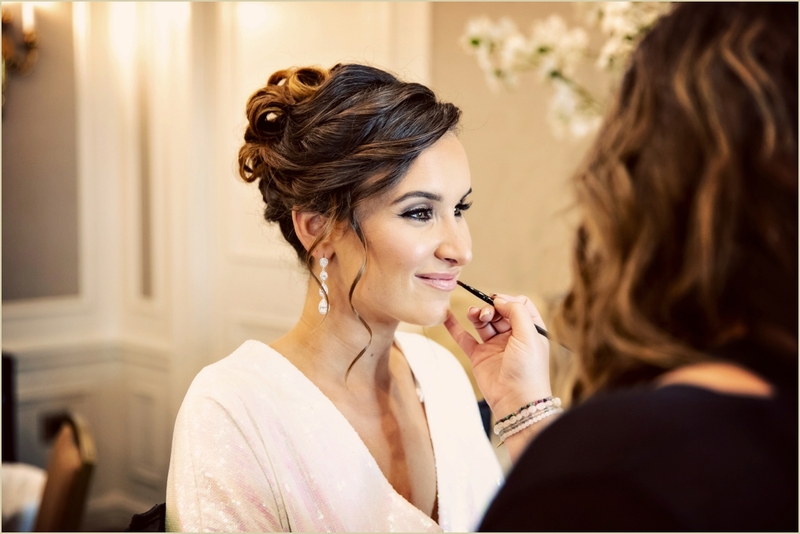 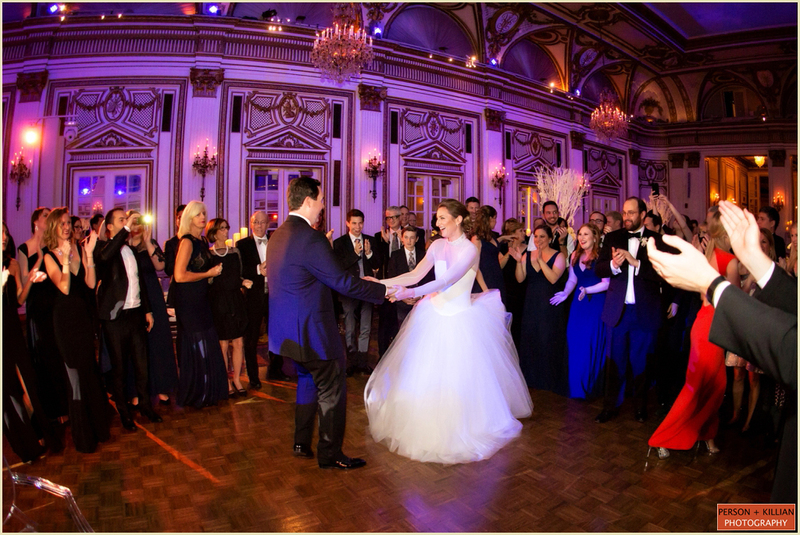 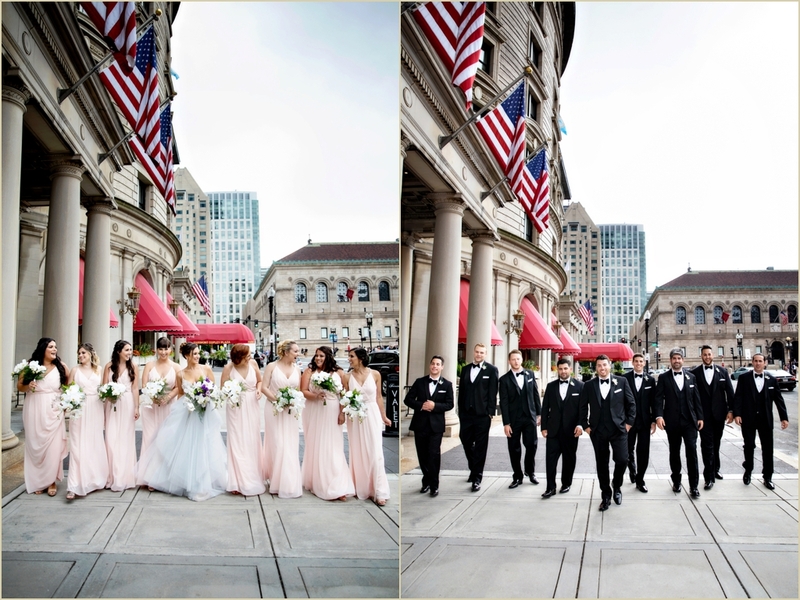 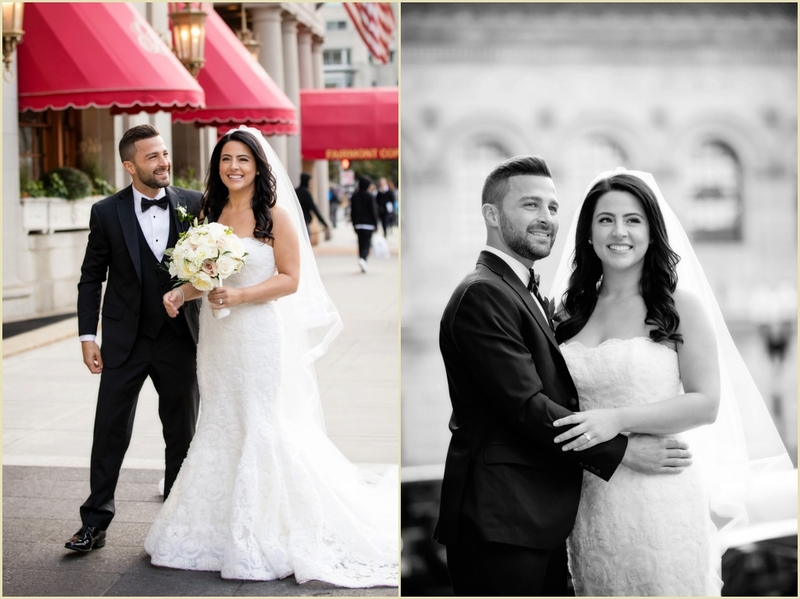 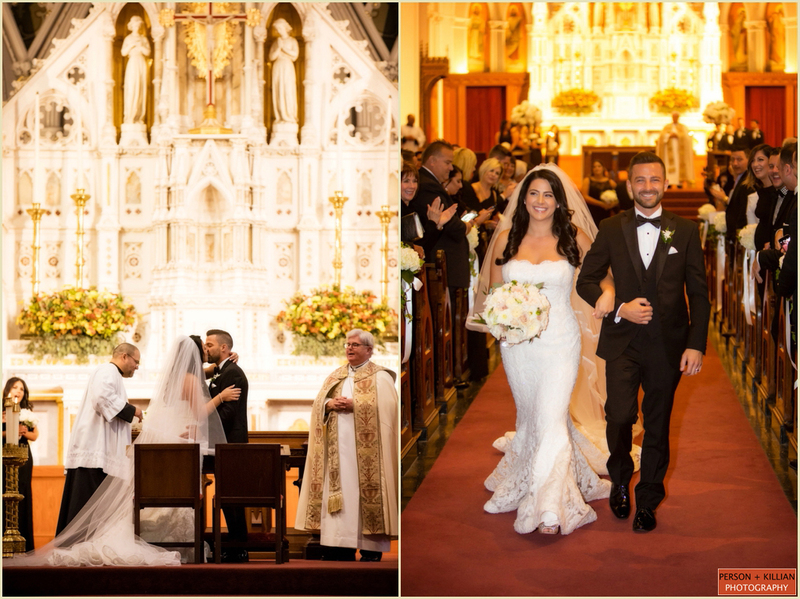 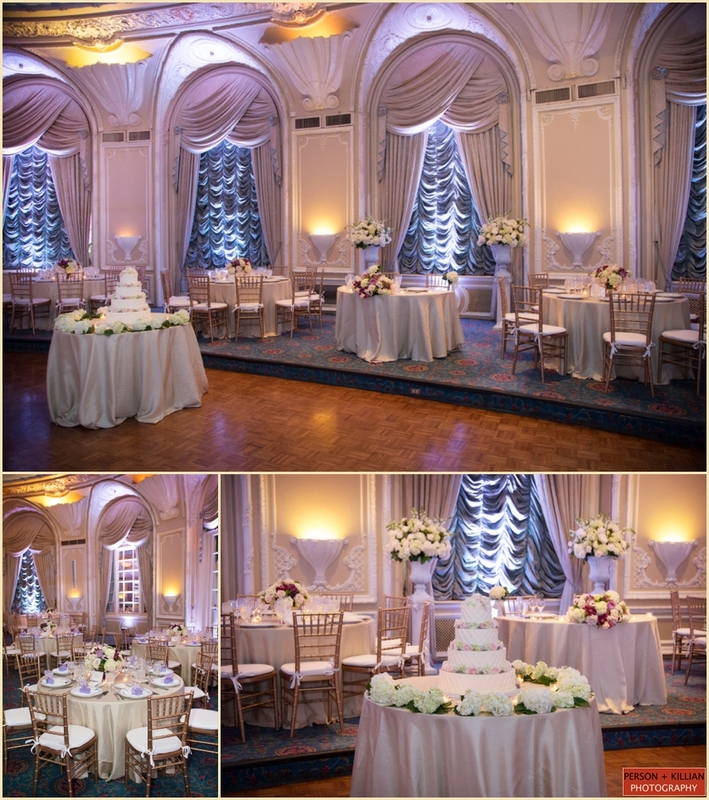 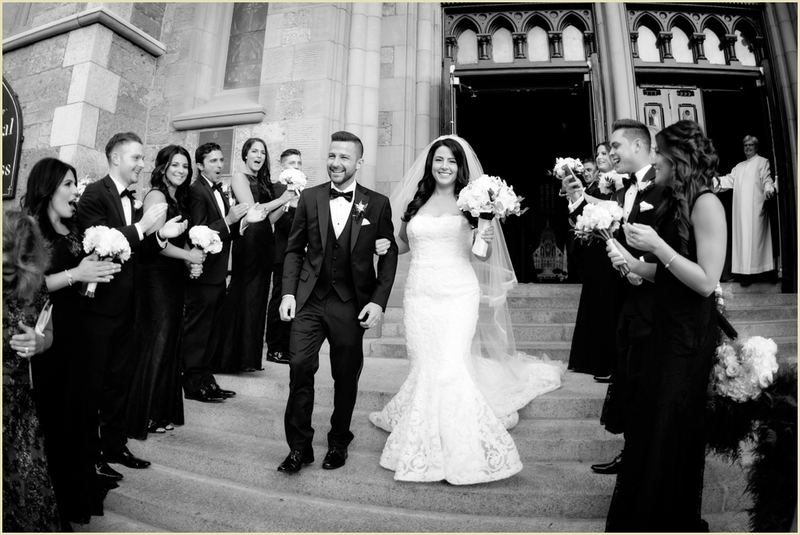 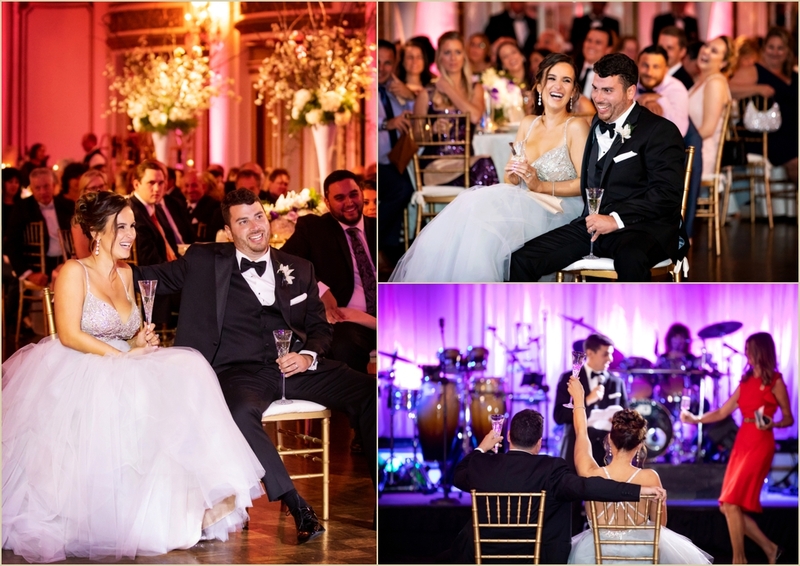 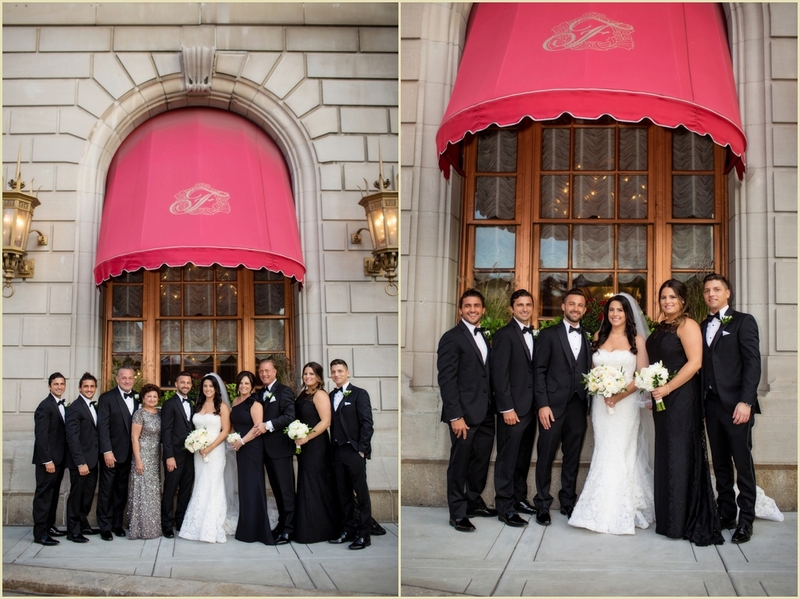 Suzy and Pat wanted the look and feel of their wedding to be classic, timeless and elegant with a touch of fairy tale and the Fairmont Copley Plaza was the perfect location. 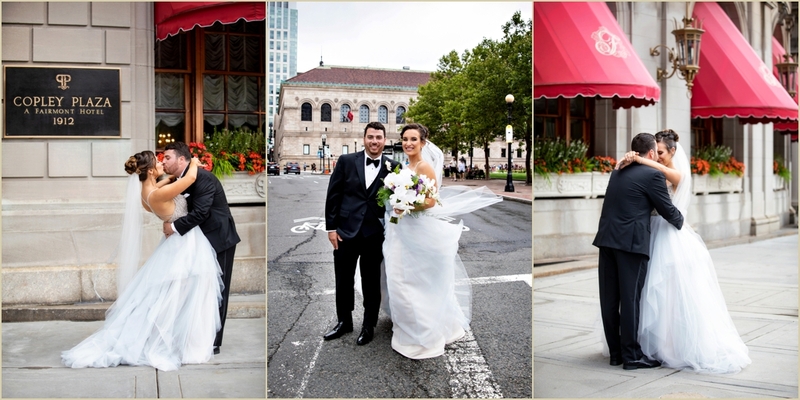 After the getting ready and first look at the Fairmont, we headed to the Commonwealth Avenue Mall for photos as well as the Boston College campus before the ceremony at St. Ignatius. 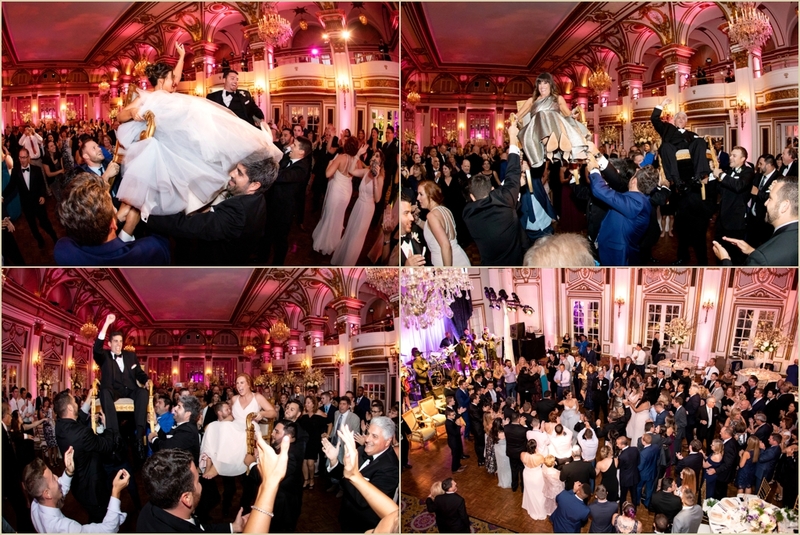 Cocktail hour took place back at the hotel in the Venetian Room and the reception took place in the Oval Room with music by Groove Authority keeping the celebration going and guests on their feet. 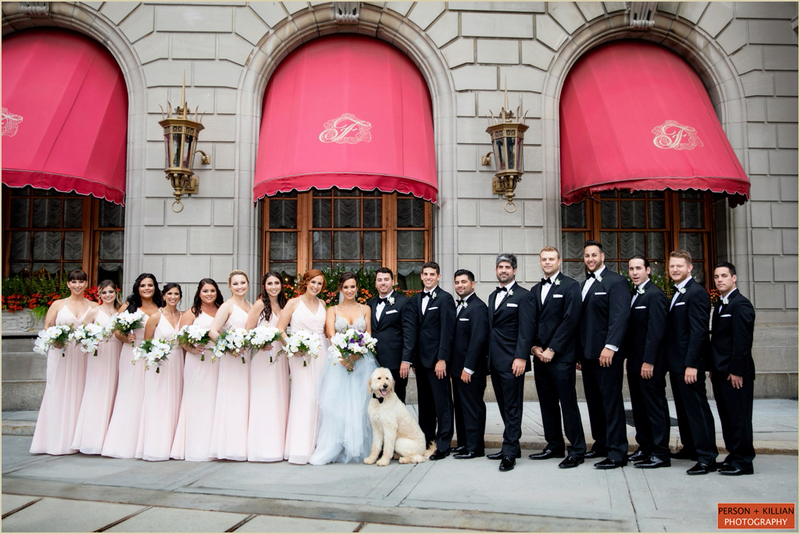 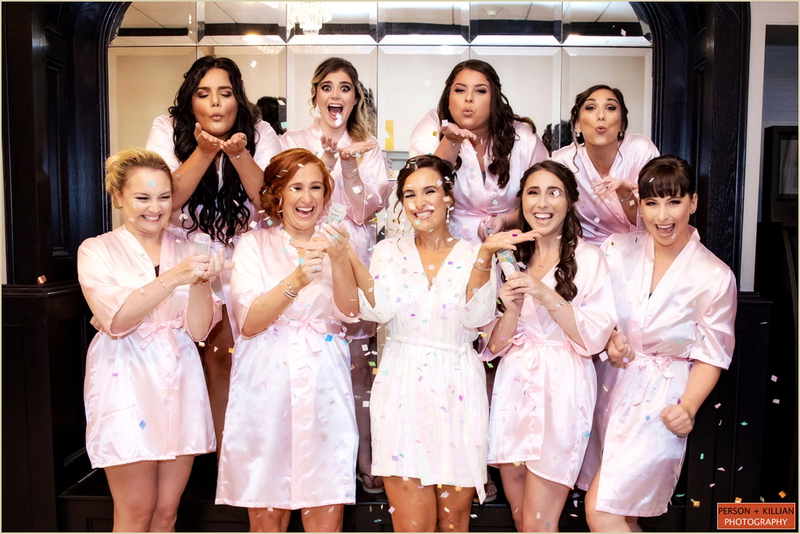 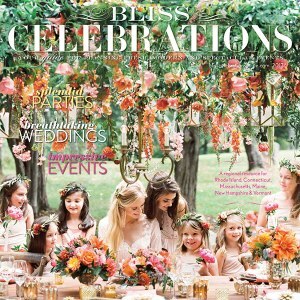 Suzy and Pat chose mint green, pale pinks and gold for the colors of the day with the bridesmaids in floor length mint green dresses by Amsale from Allegria Bridal of Belmont. 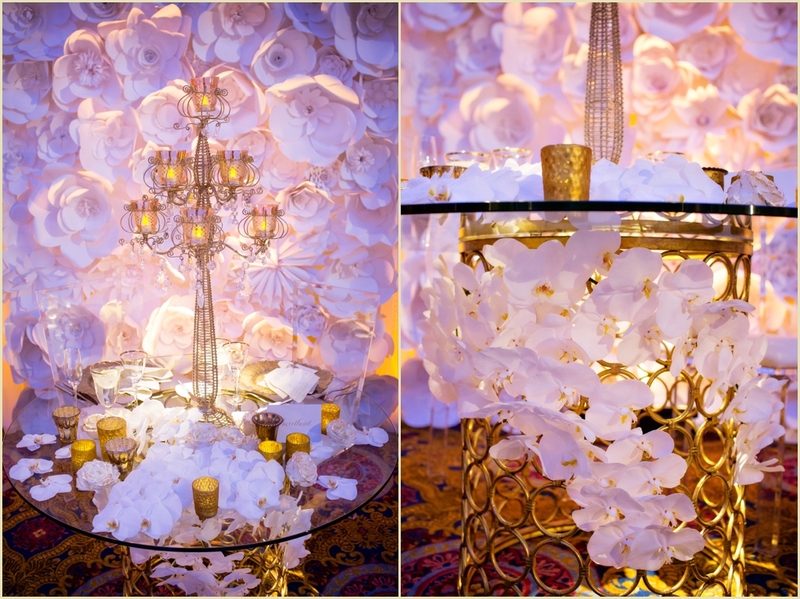 The flowers were a mix of white hydrangeas with shades of pink peonies and roses. 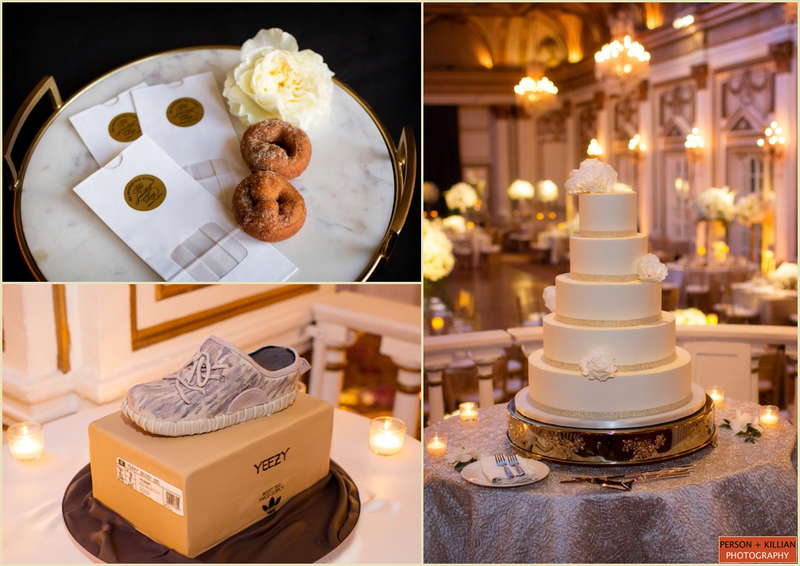 The gold throughout the venue was accented with pops in everything from the menus to the Suzy and her bridesmaid’s shoes. 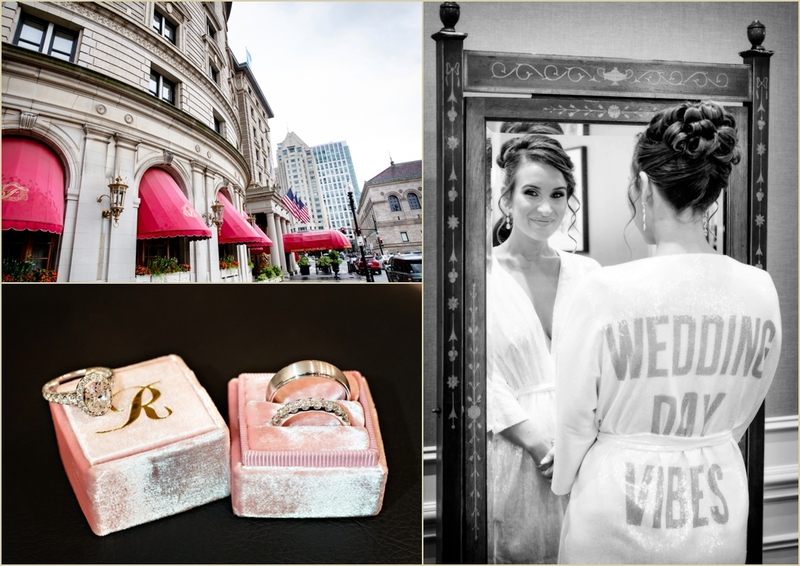 A big congratulations to the newlyweds Suzy + Pat and thank you to the amazing team at the Fairmont Copley Plaza for always being so wonderful to work with! 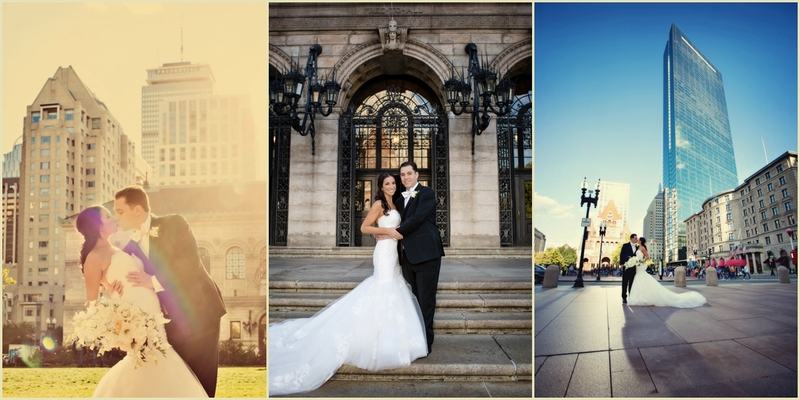 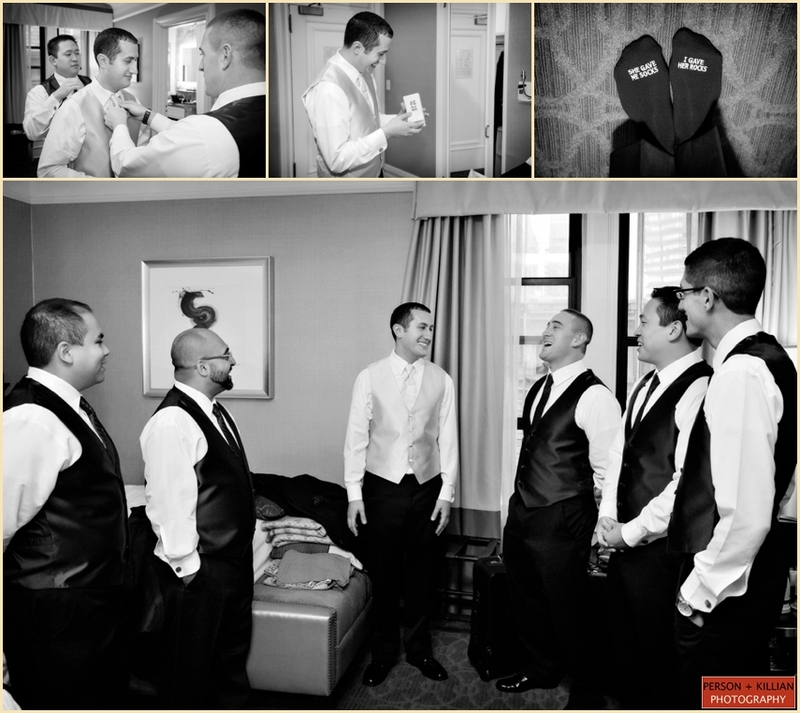 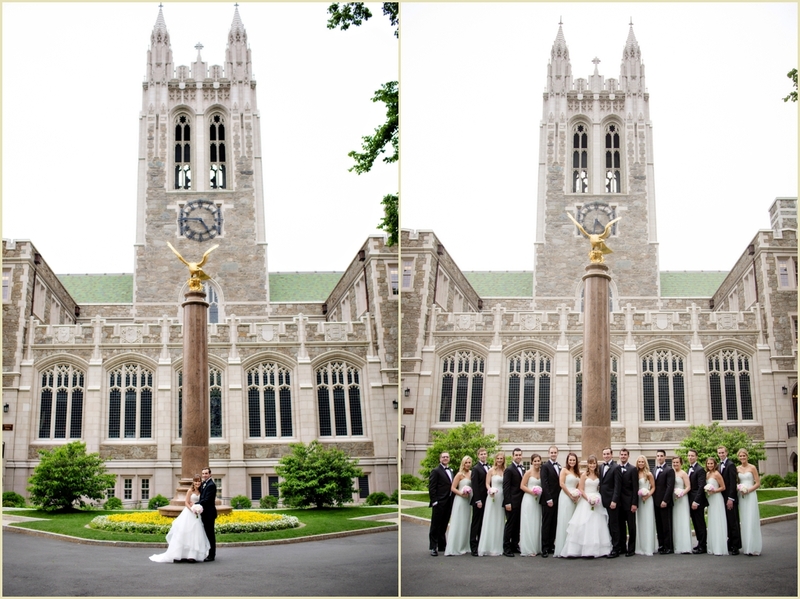 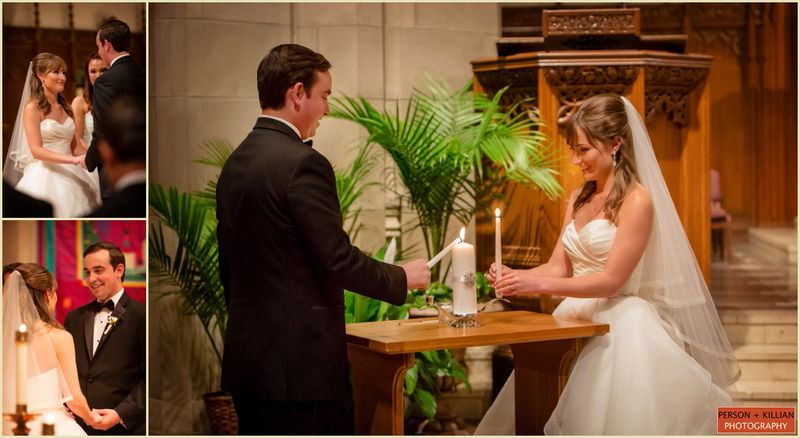 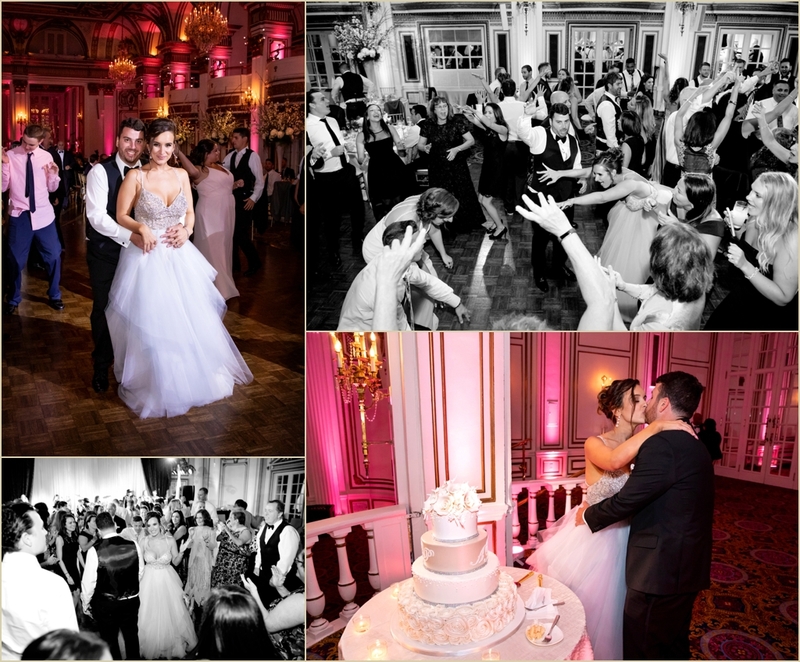 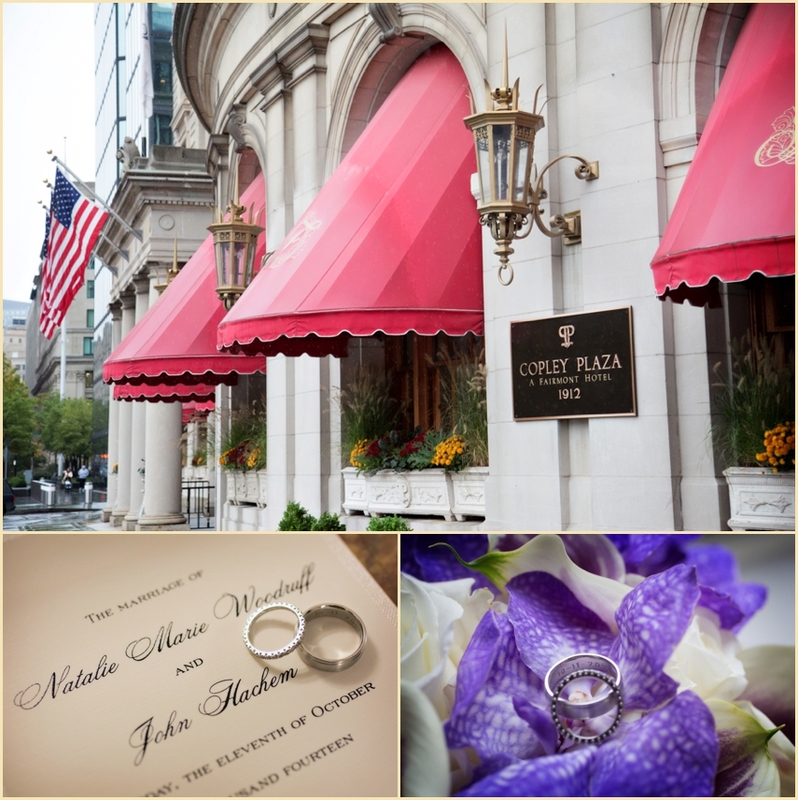 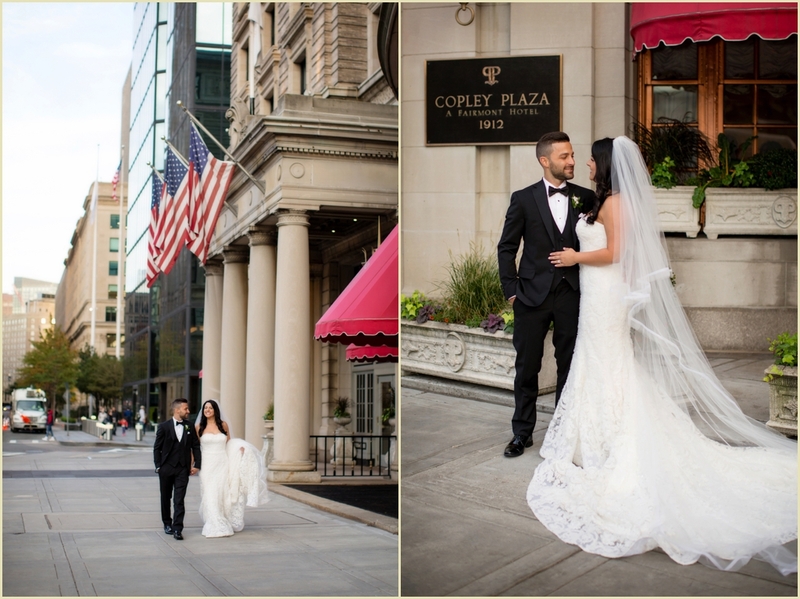 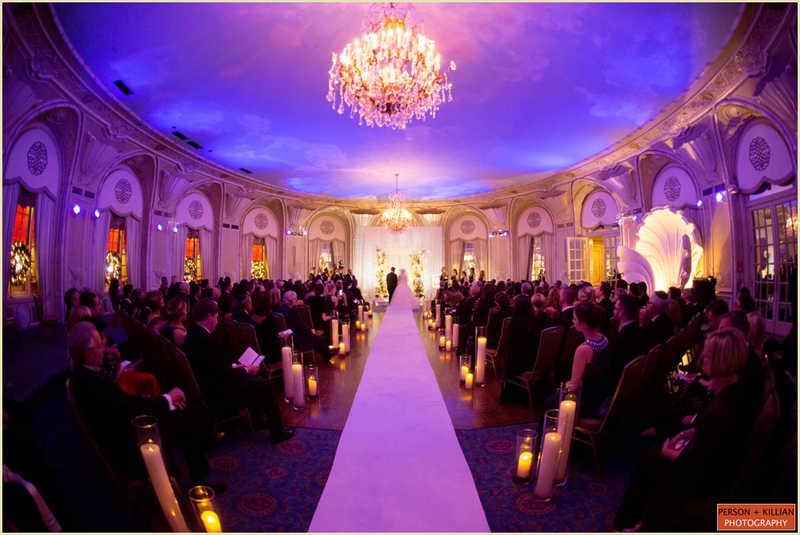 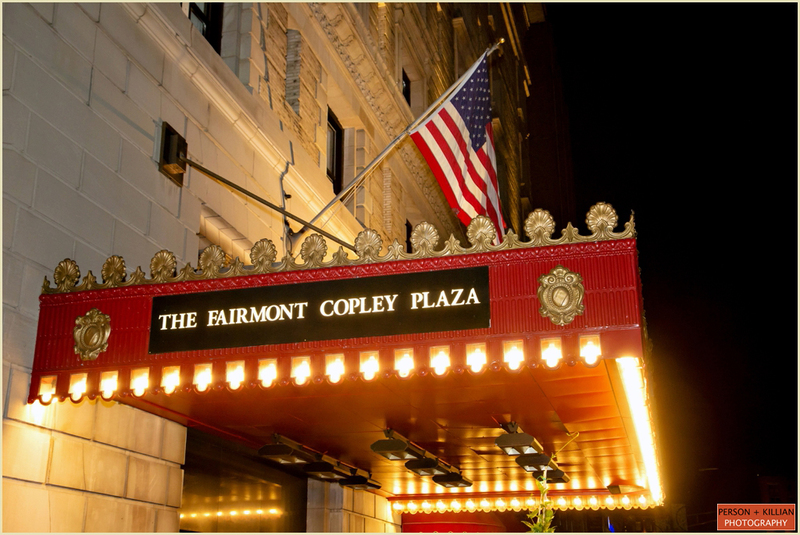 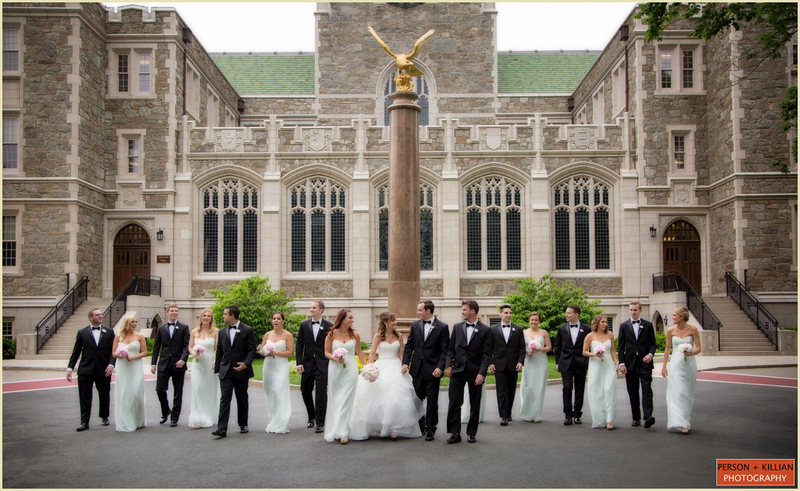 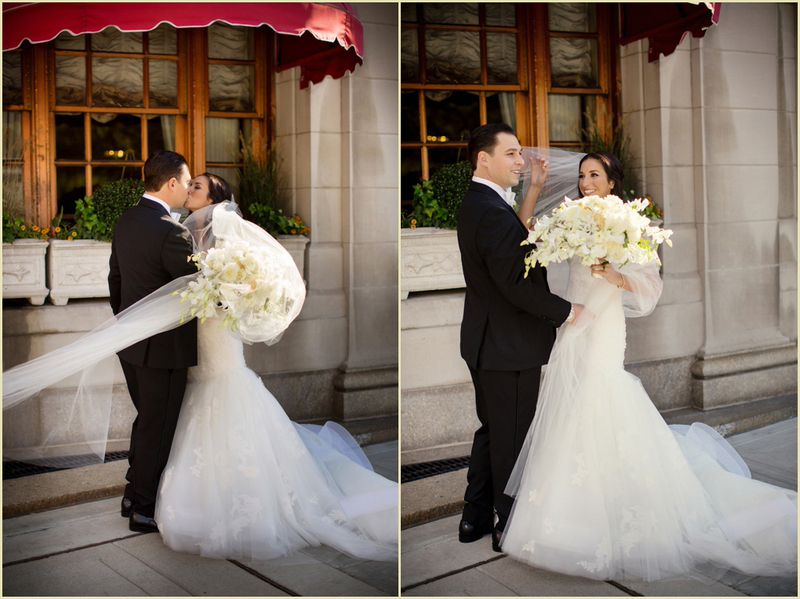 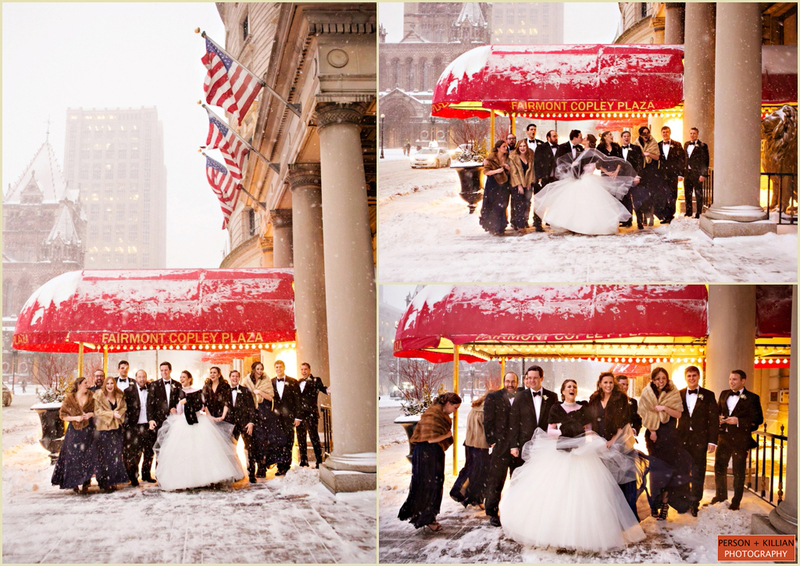 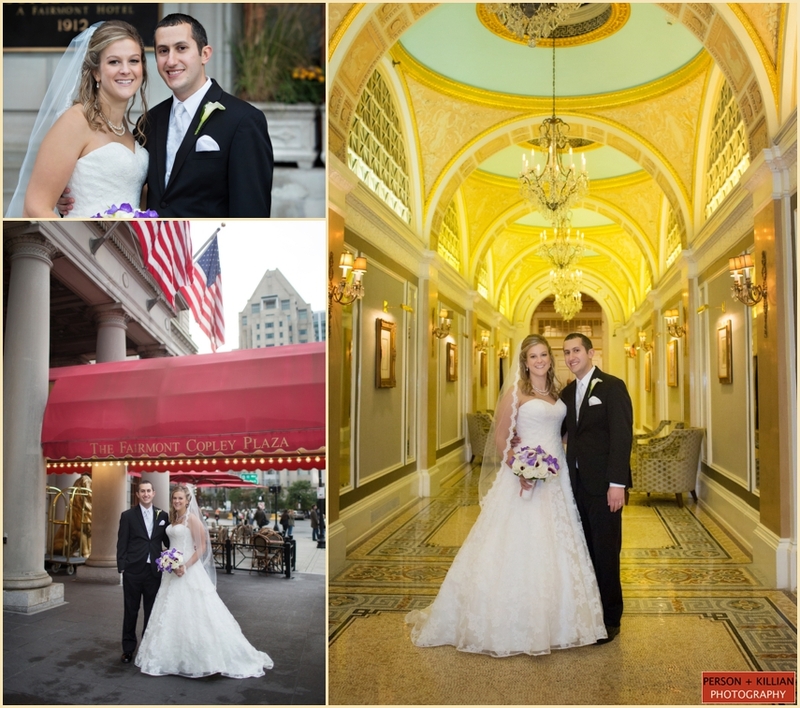 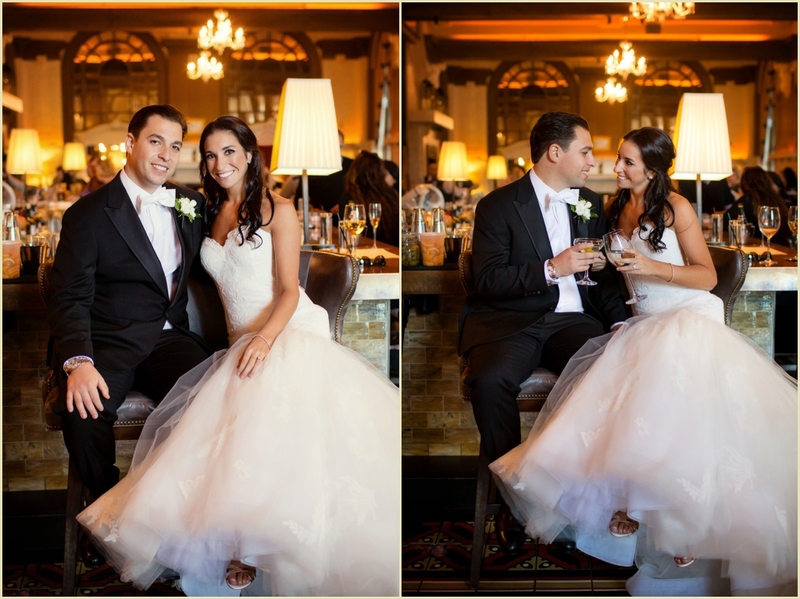 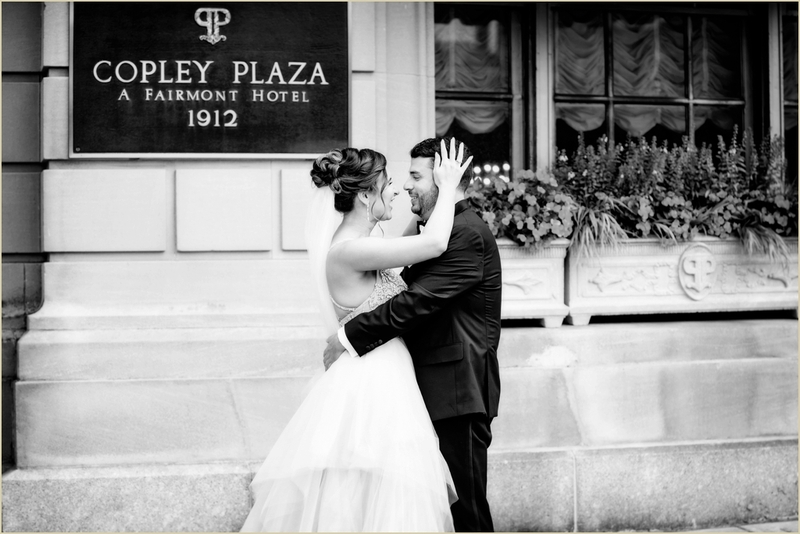 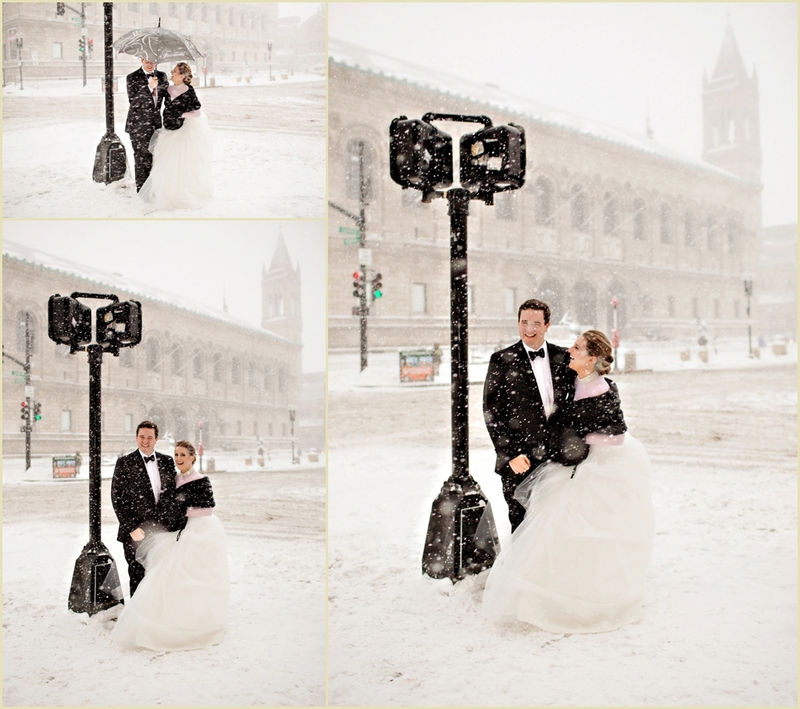 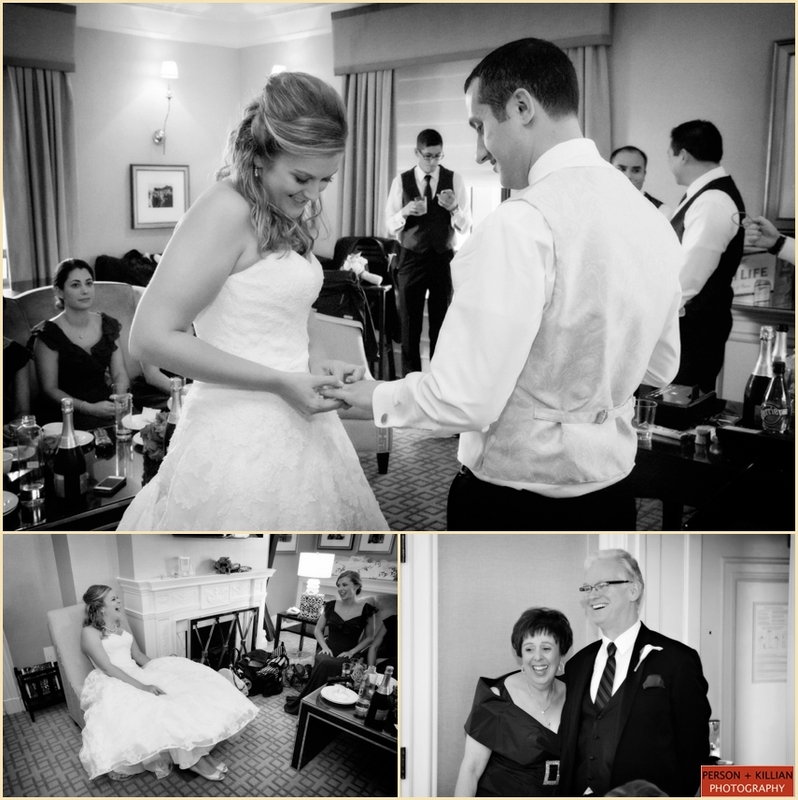 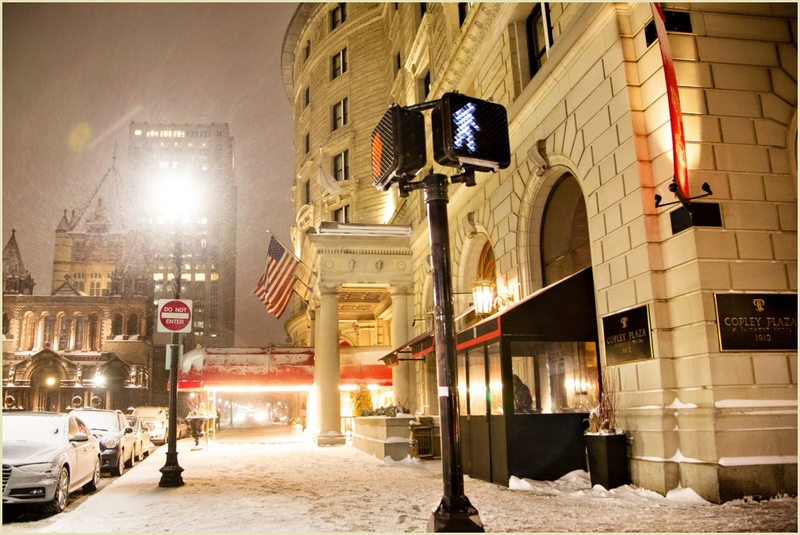 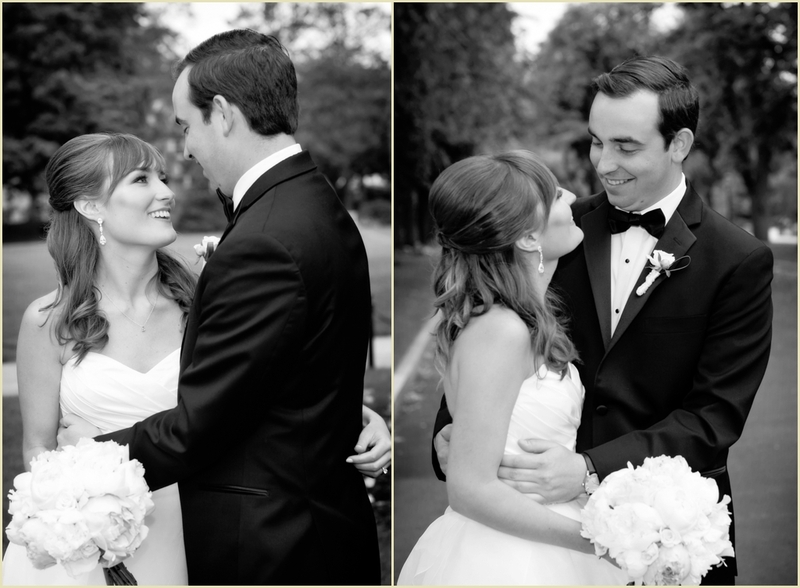 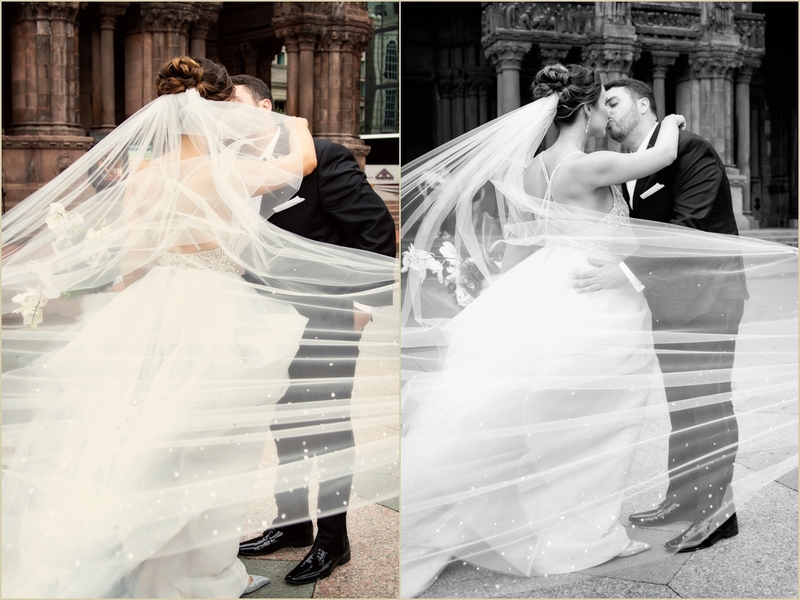 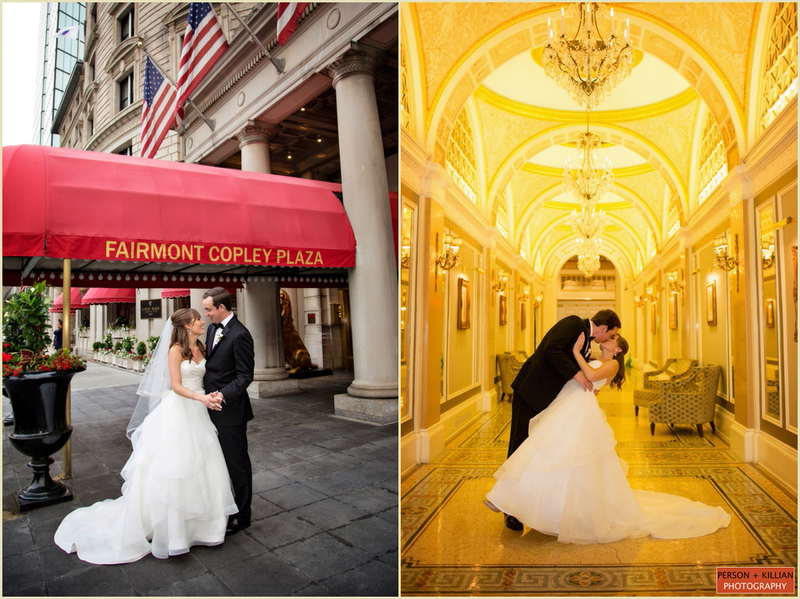 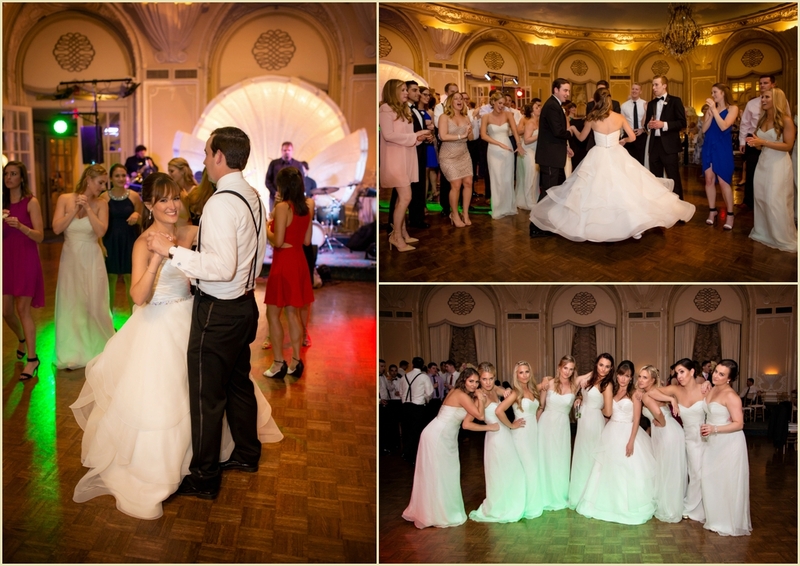 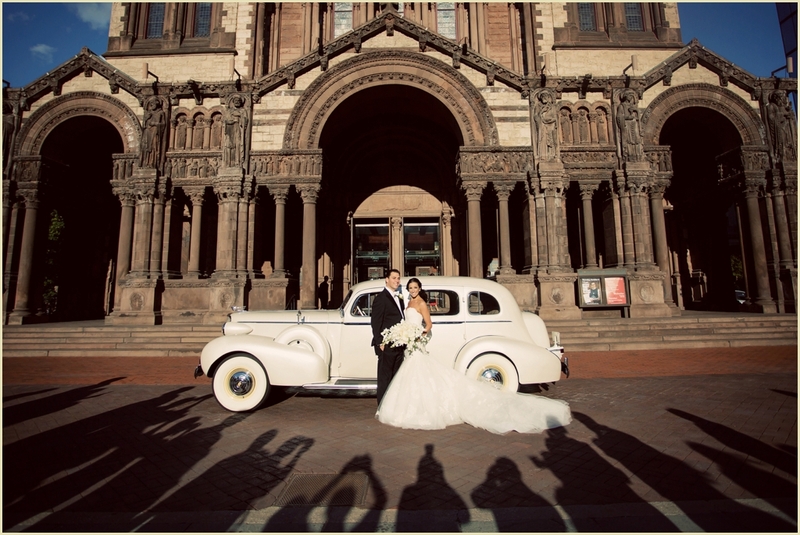 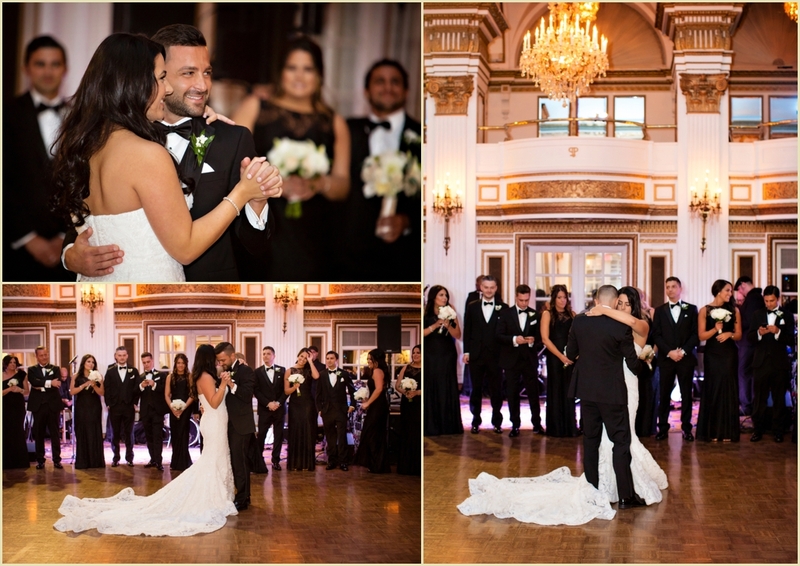 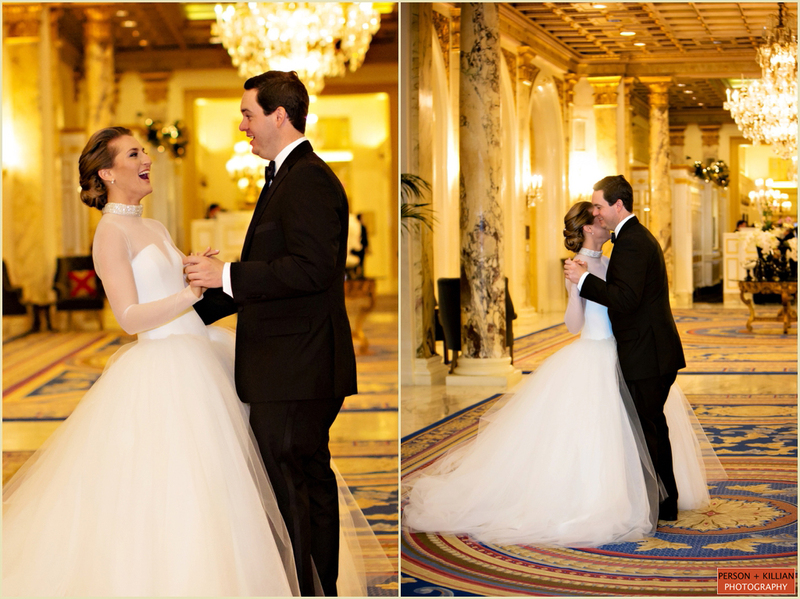 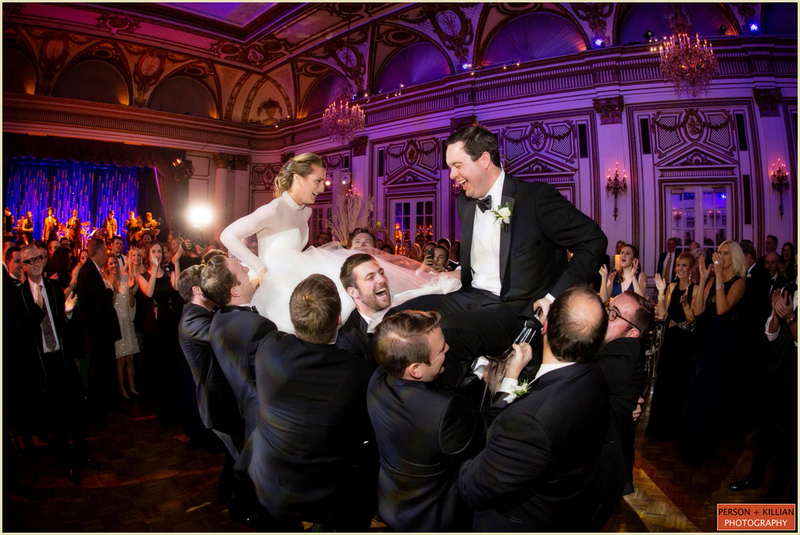 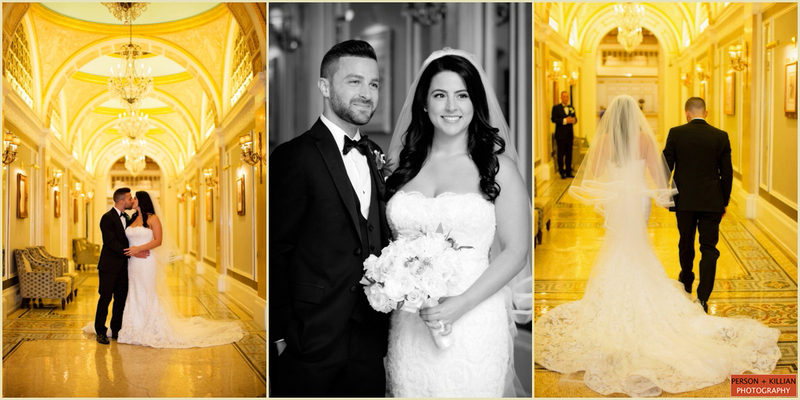 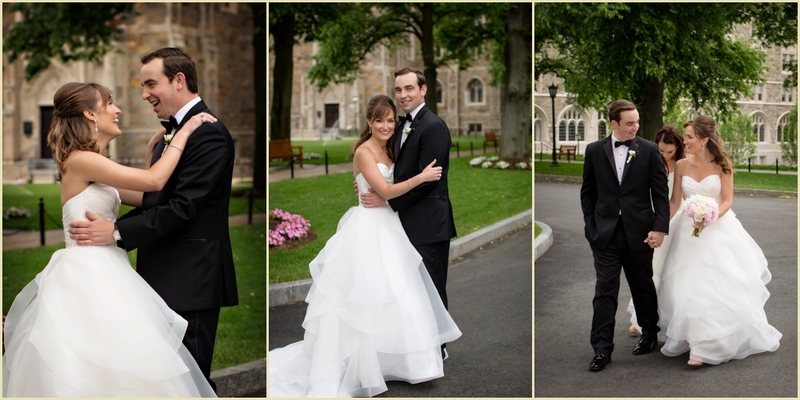 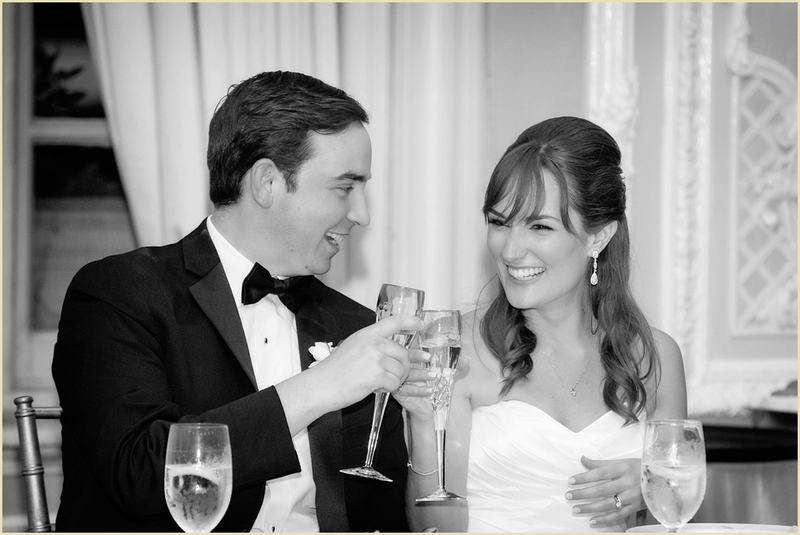 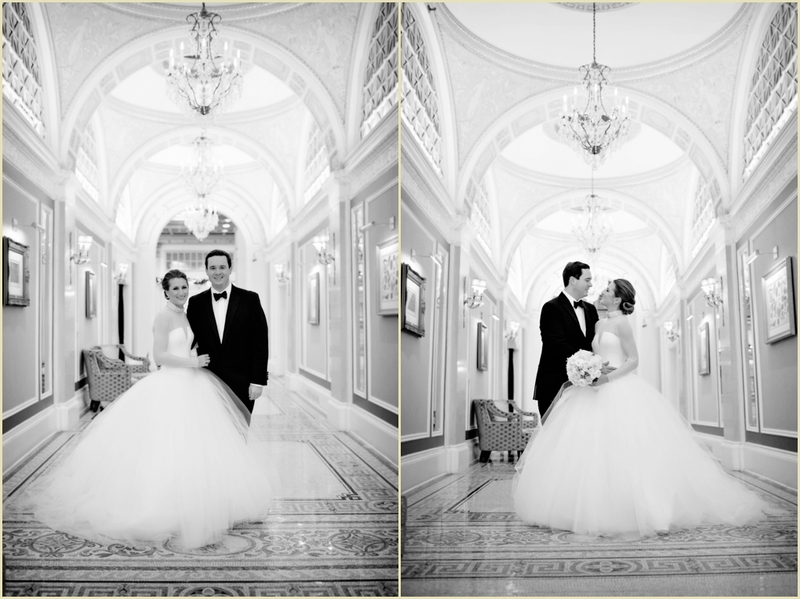 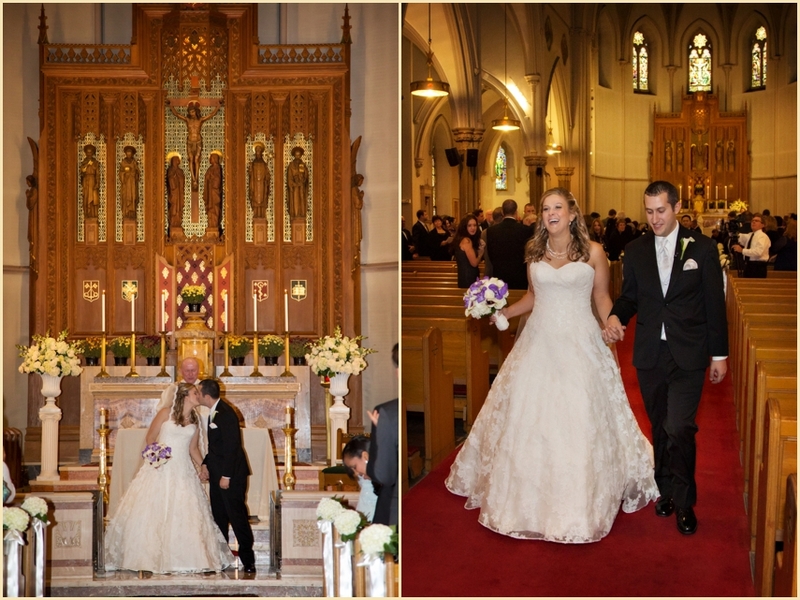 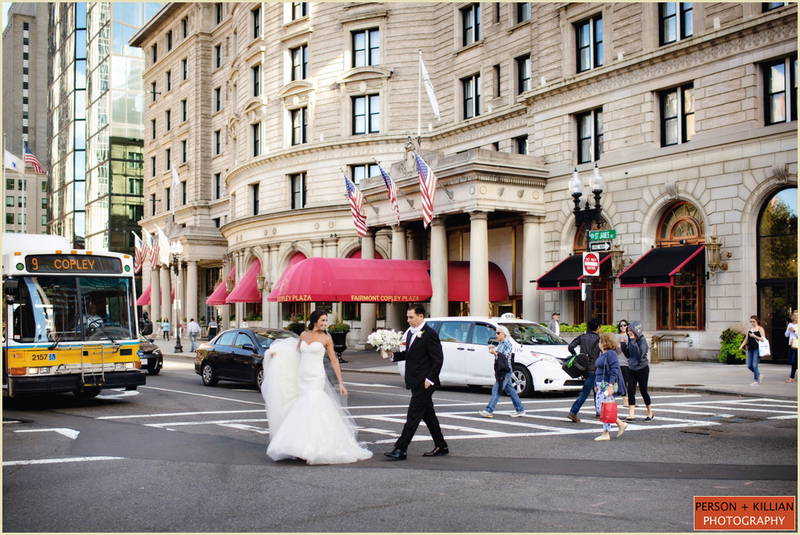 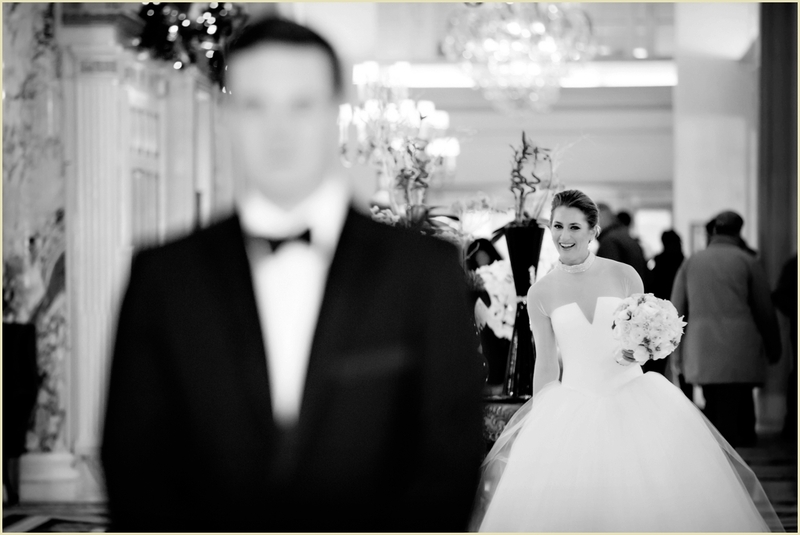 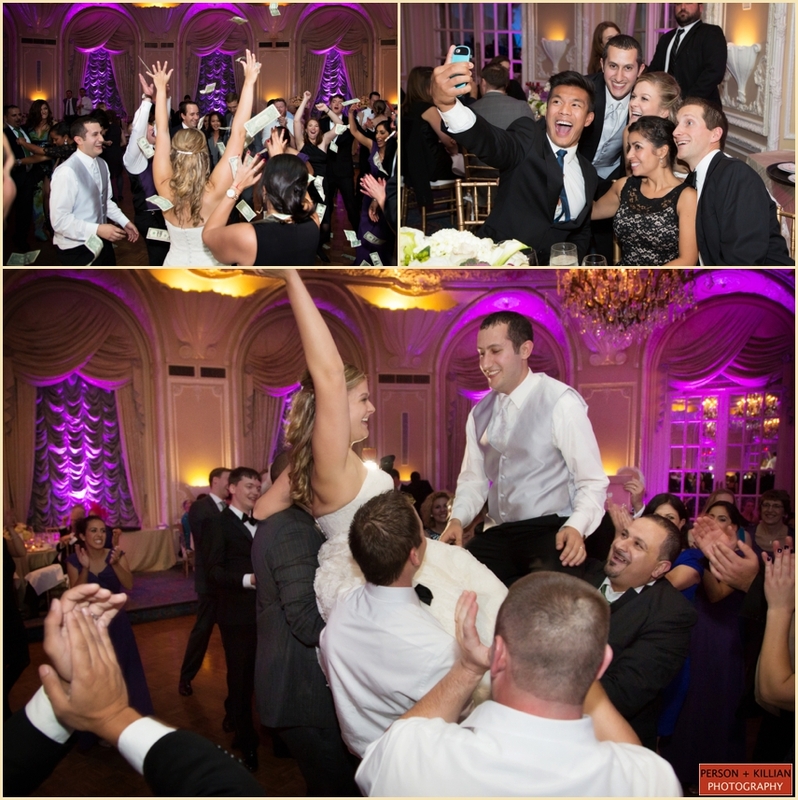 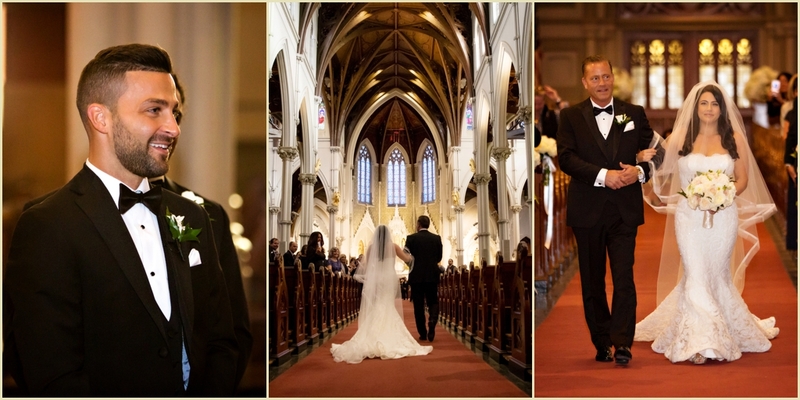 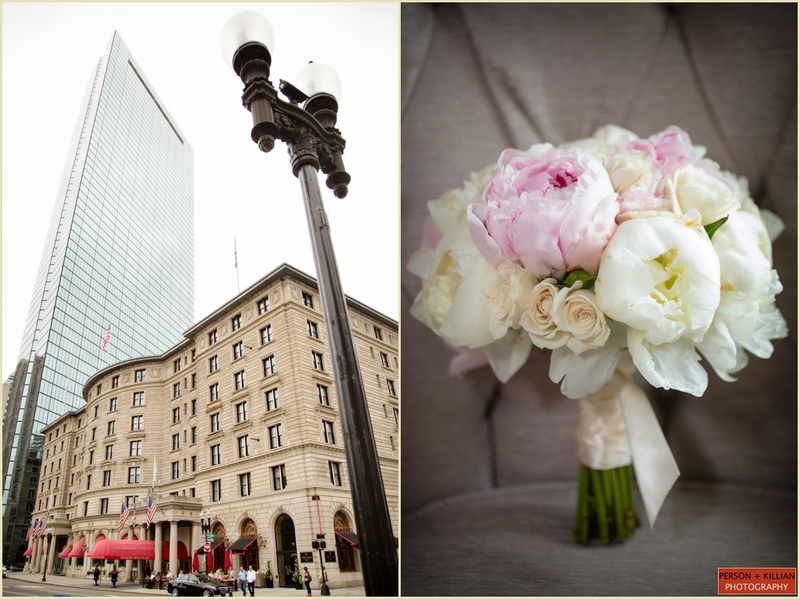 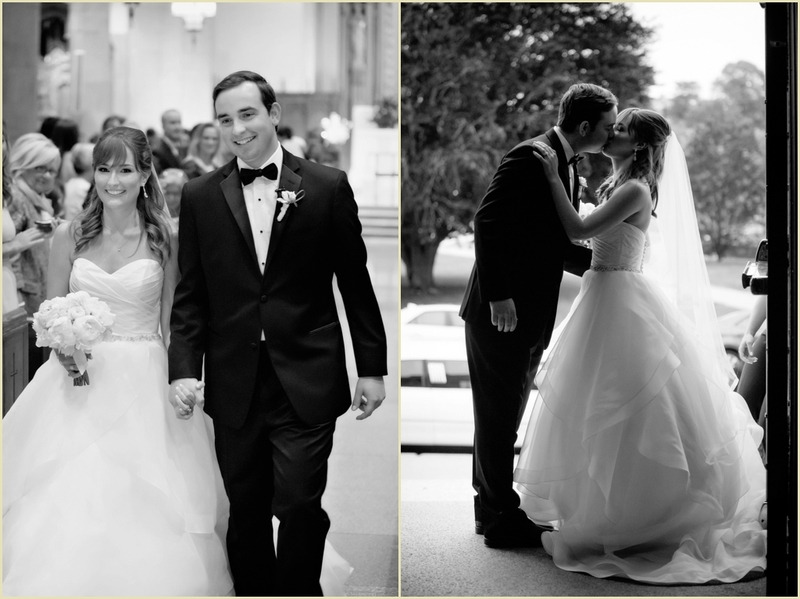 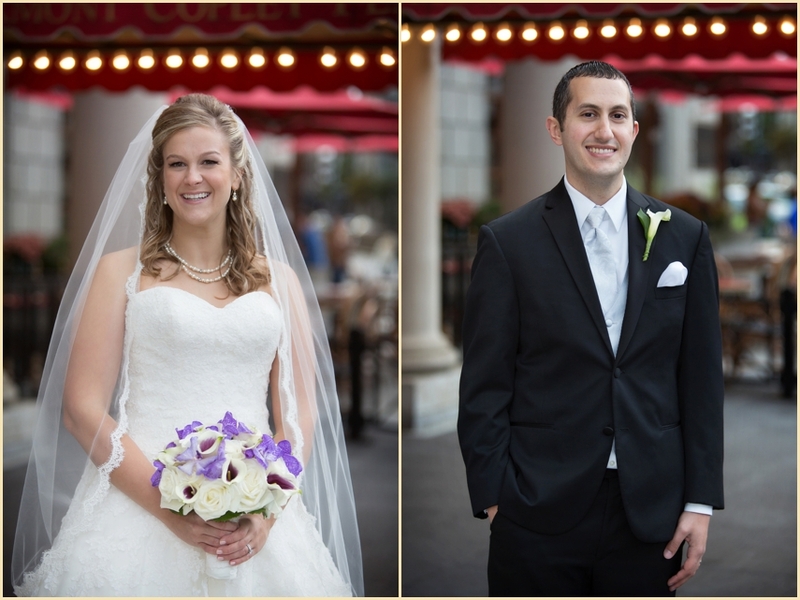 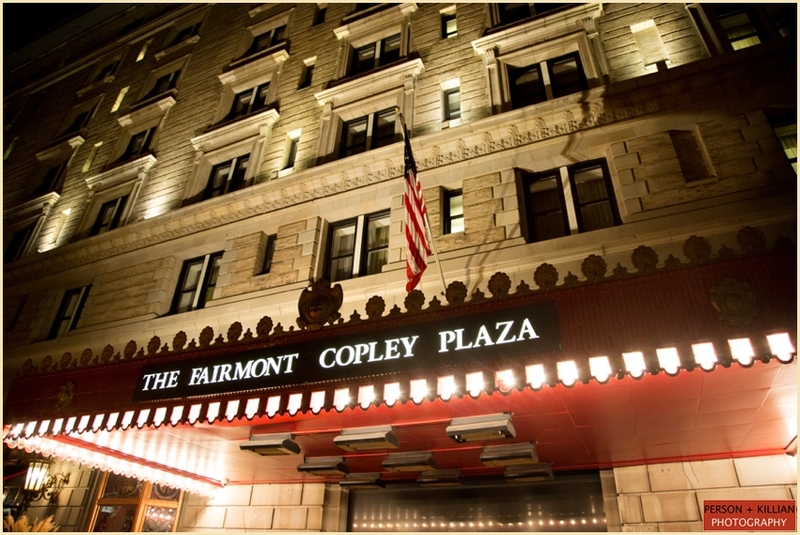 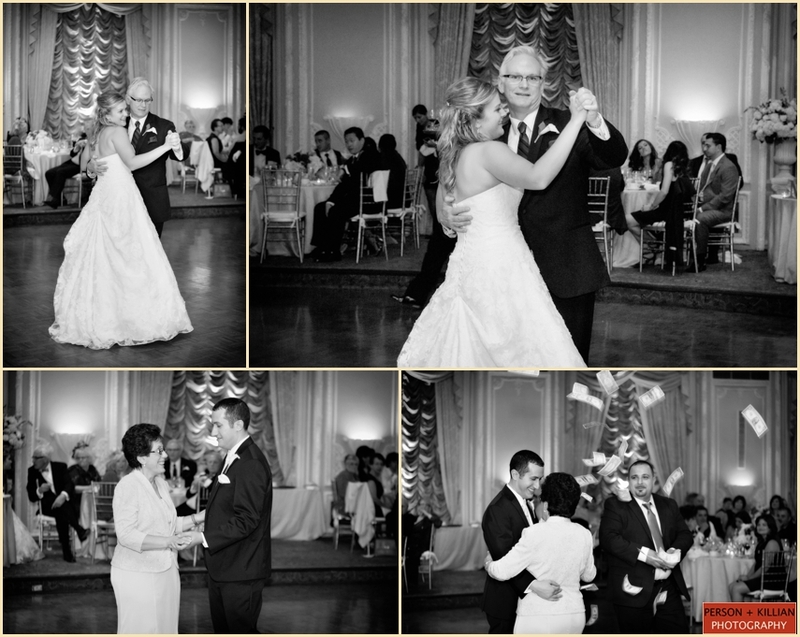 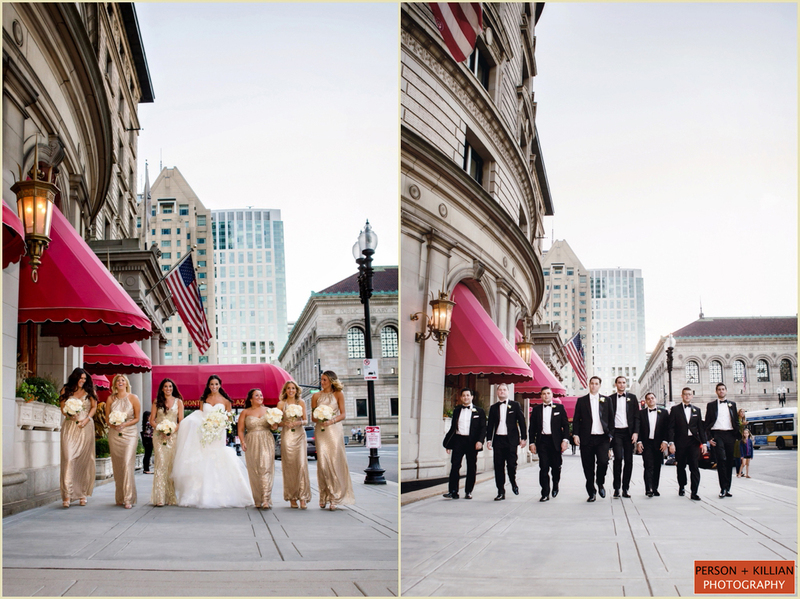 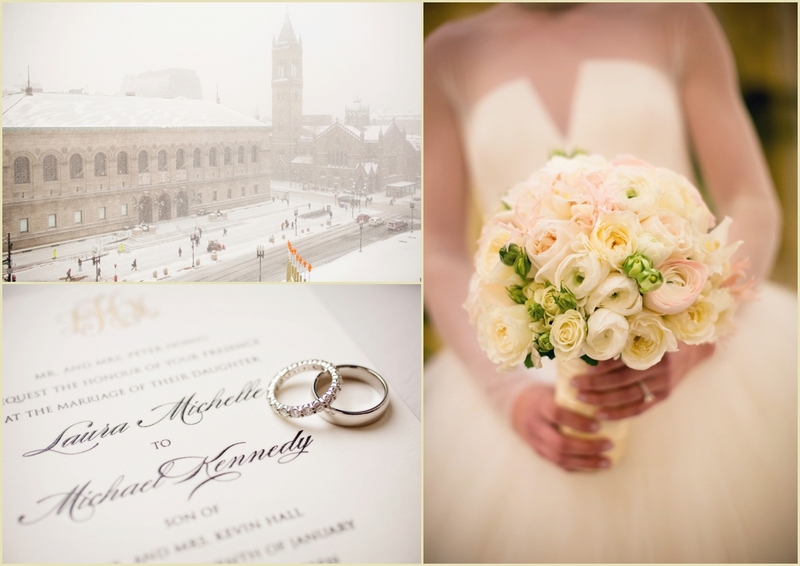 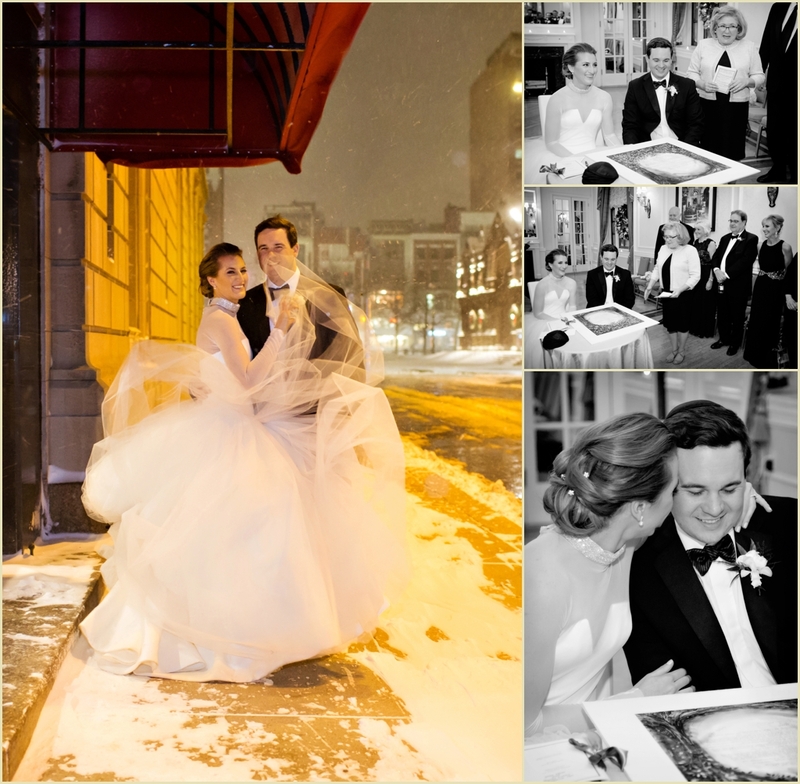 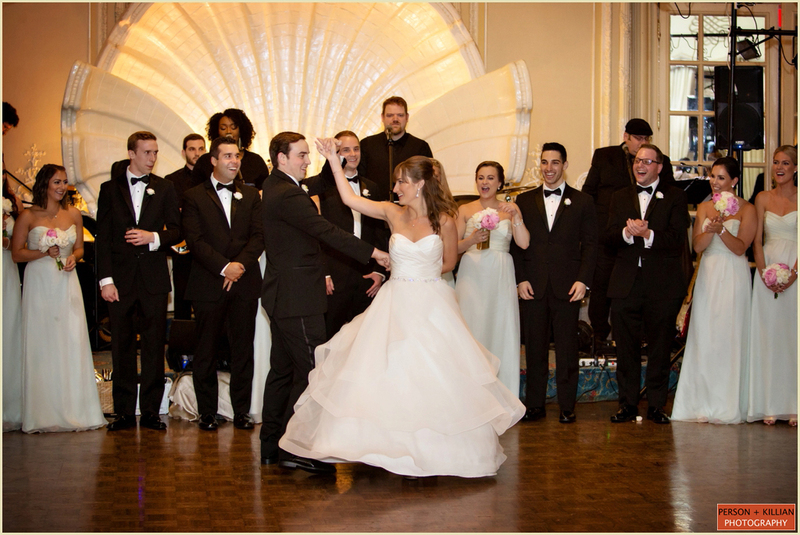 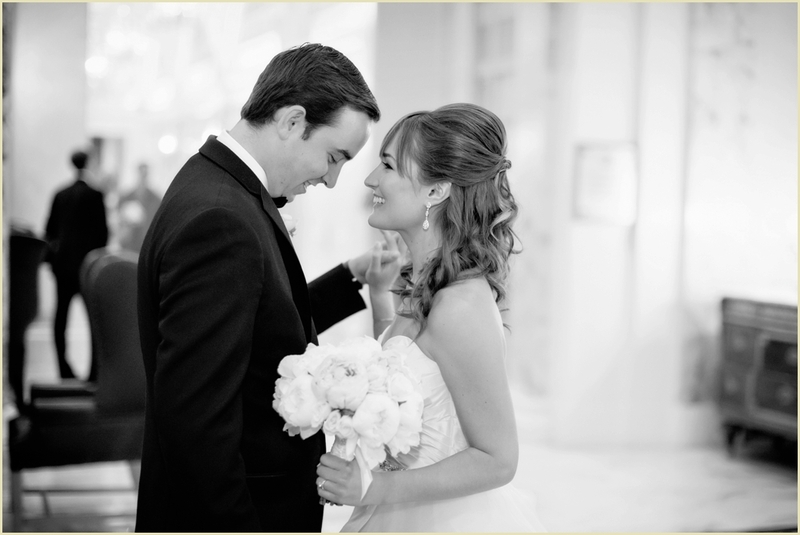 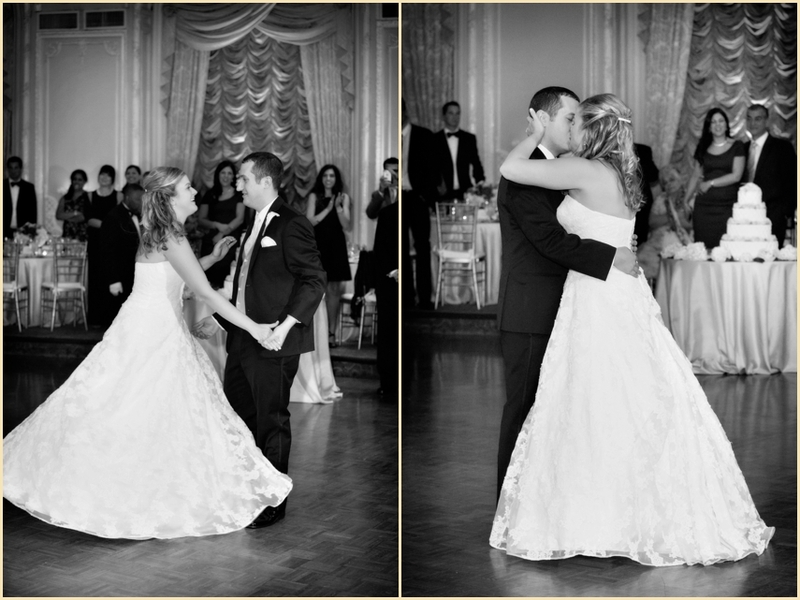 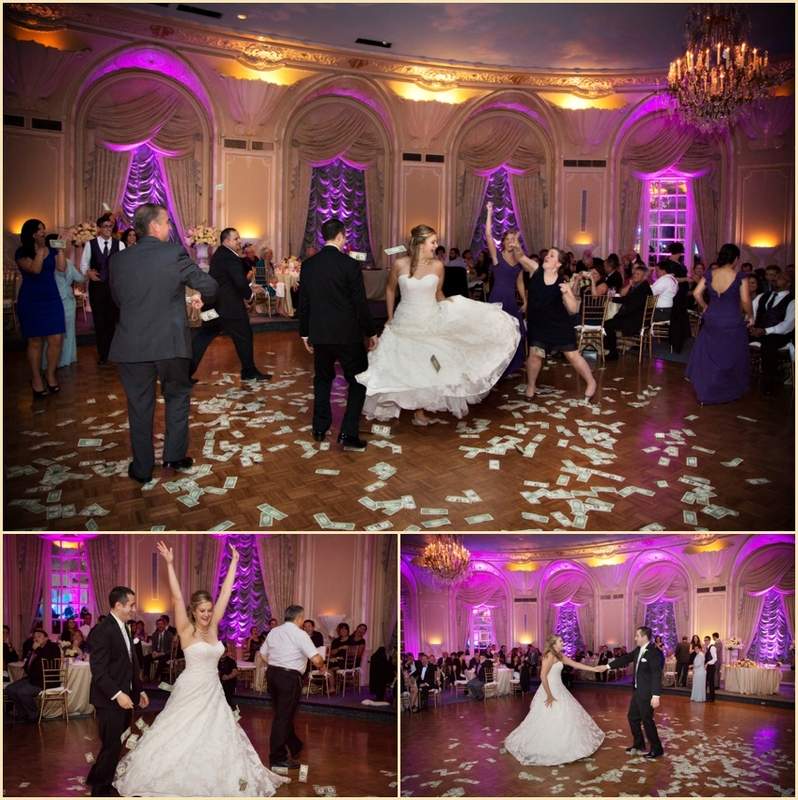 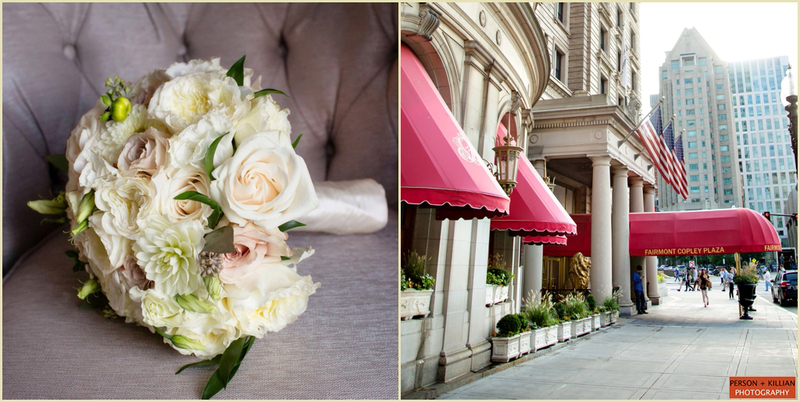 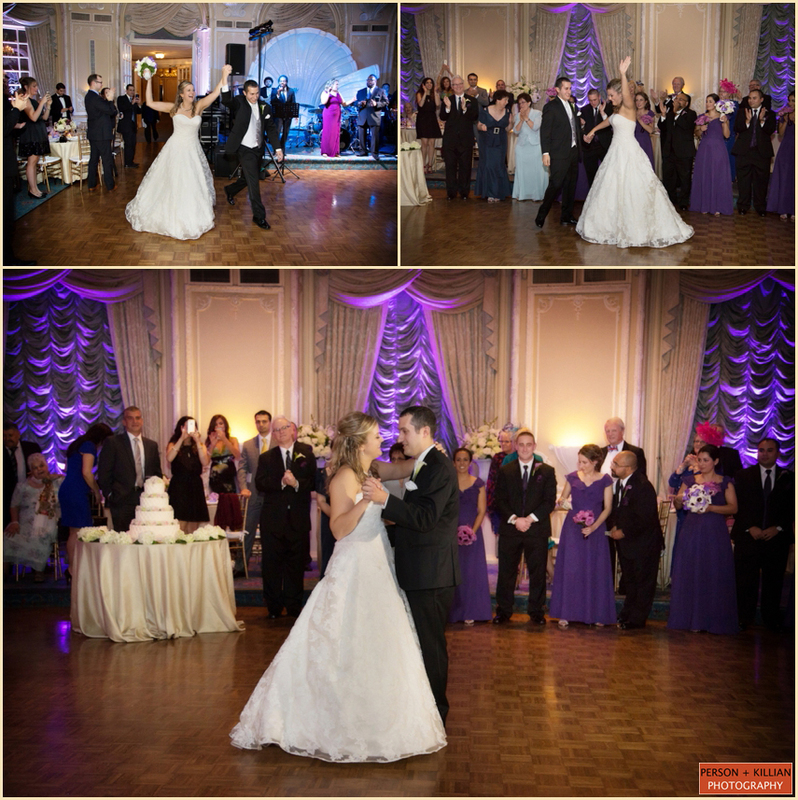 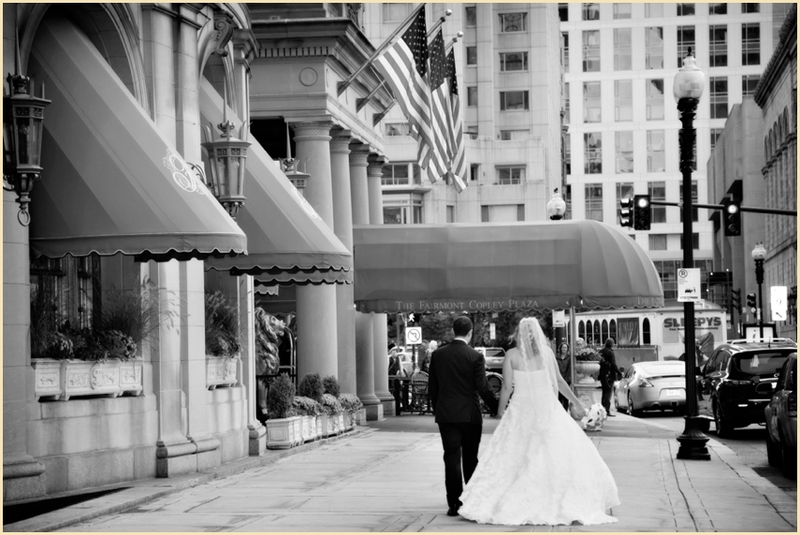 Earlier this month we had the pleasure of photographing the Fairmont Copley Plaza Boston wedding of Natalie and John. 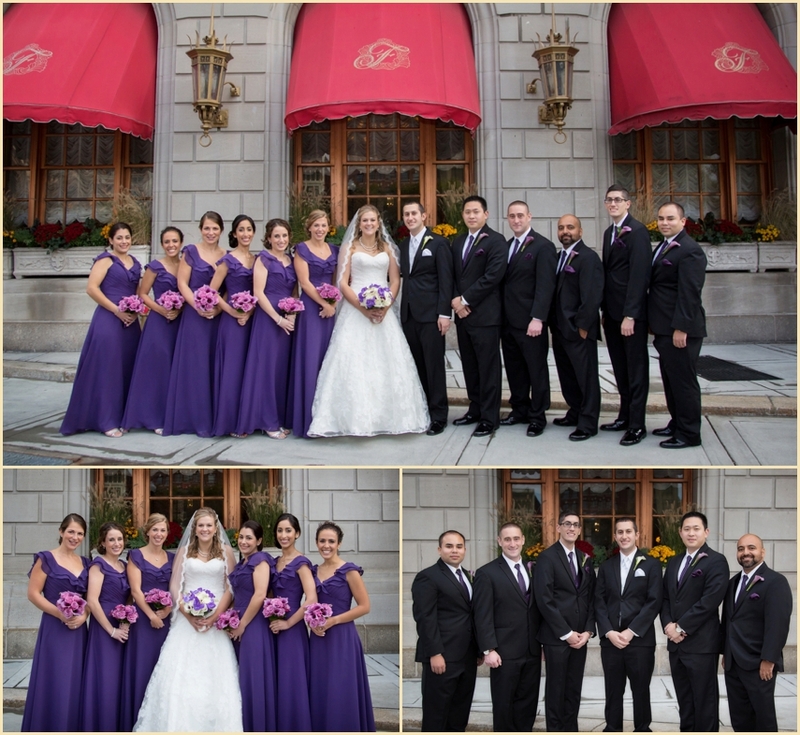 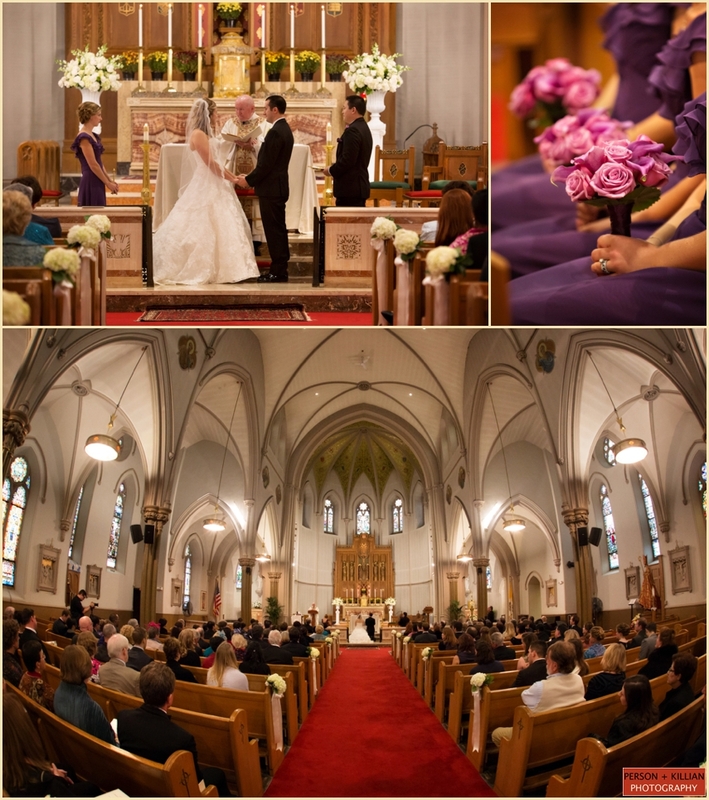 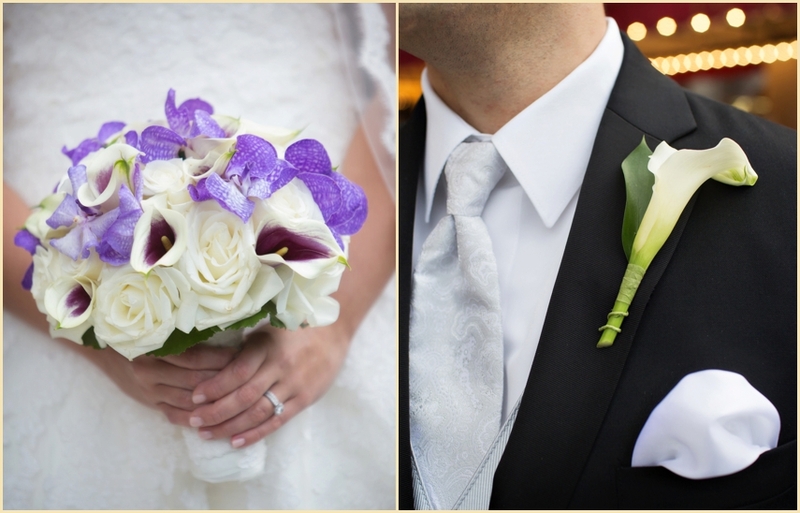 The bride chose a beautiful fall color scheme with a focus on eggplant and ivory hues. 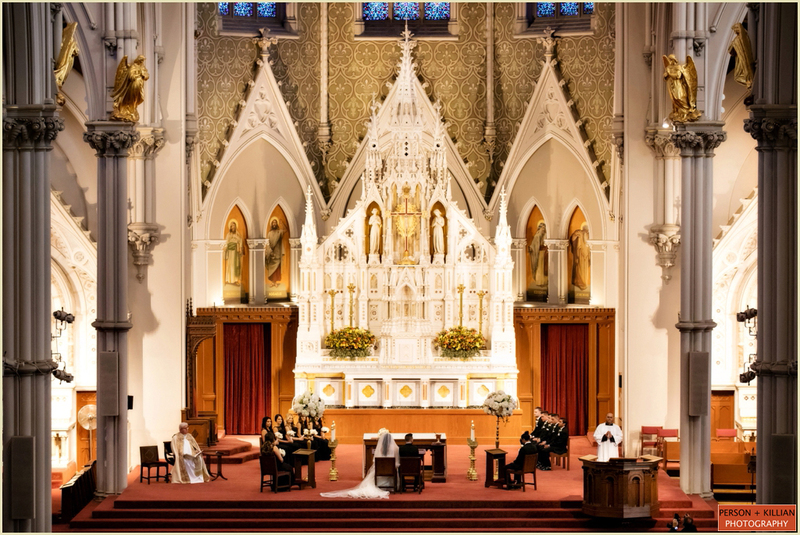 The traditional Catholic Mass took place in Brighton. 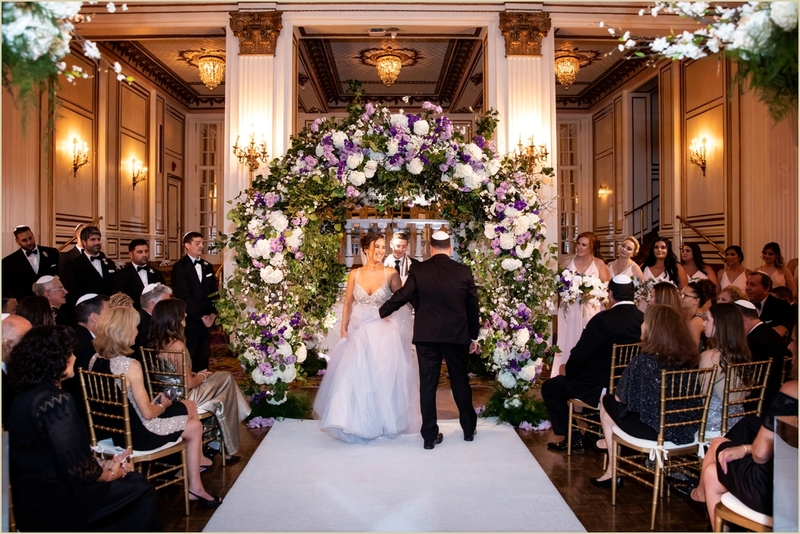 The bride chose florals that would compliment the eggplant floor-length bridesmaids dresses and had purple and white flowers lining the aisle. 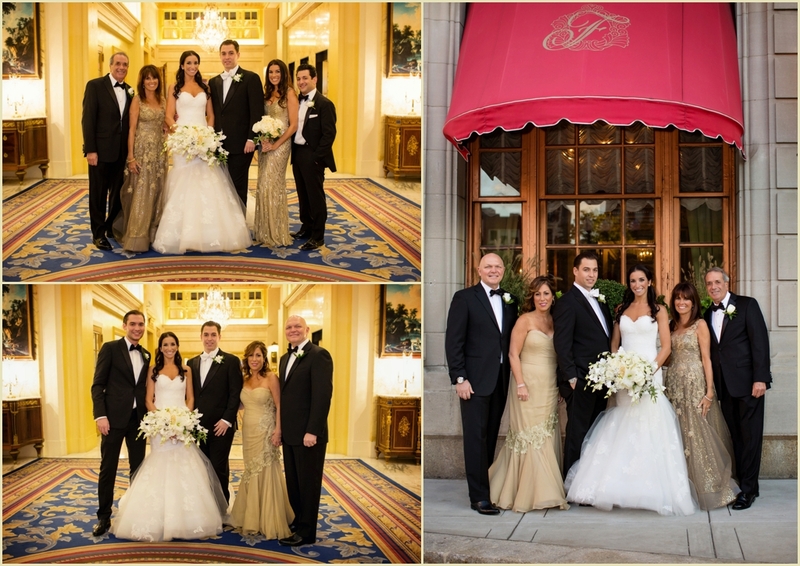 After the ceremony the guests headed back to The Fairmont Copley Plaza for cocktails in the Venetian Room to celebrate with the newlyweds. 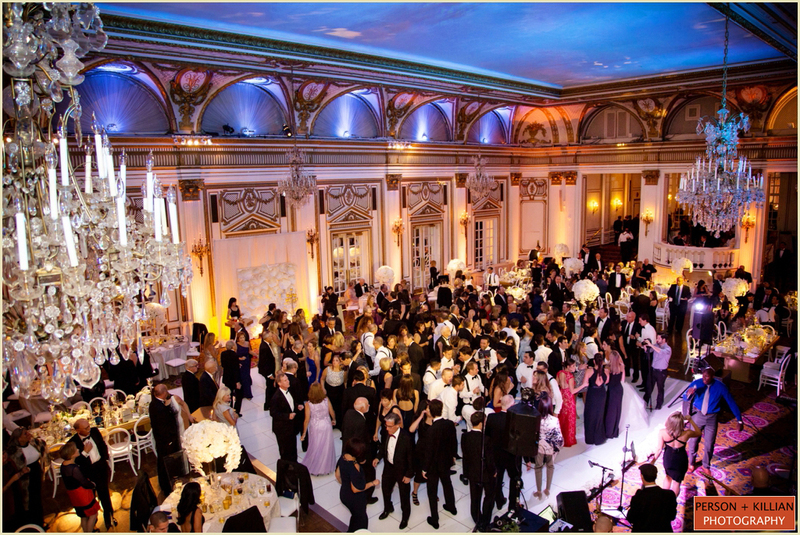 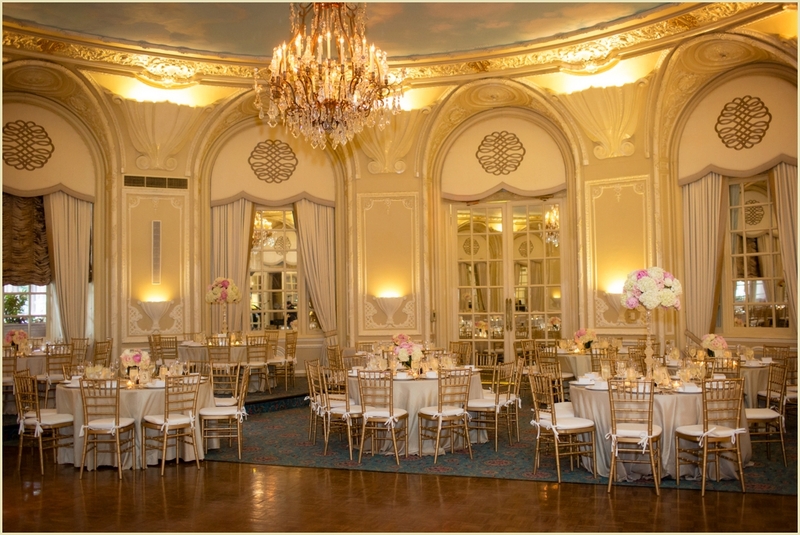 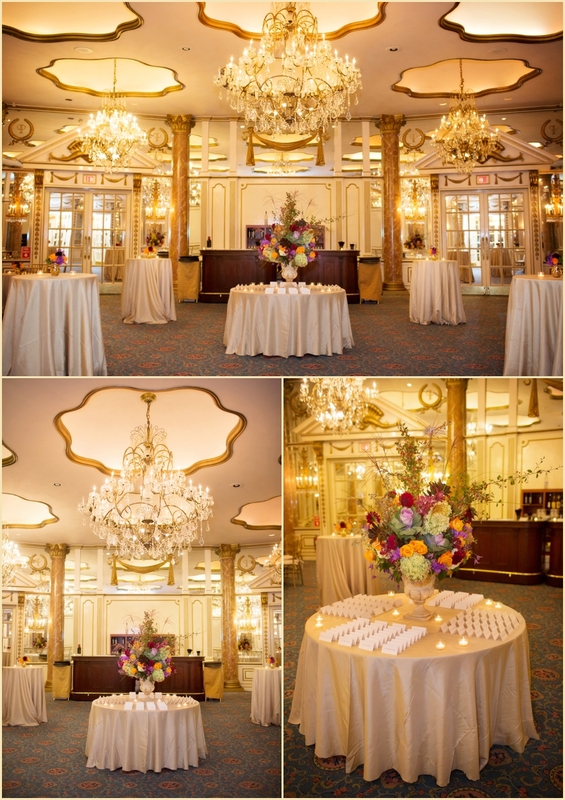 For the reception, guests moved into the beautiful Oval Room. 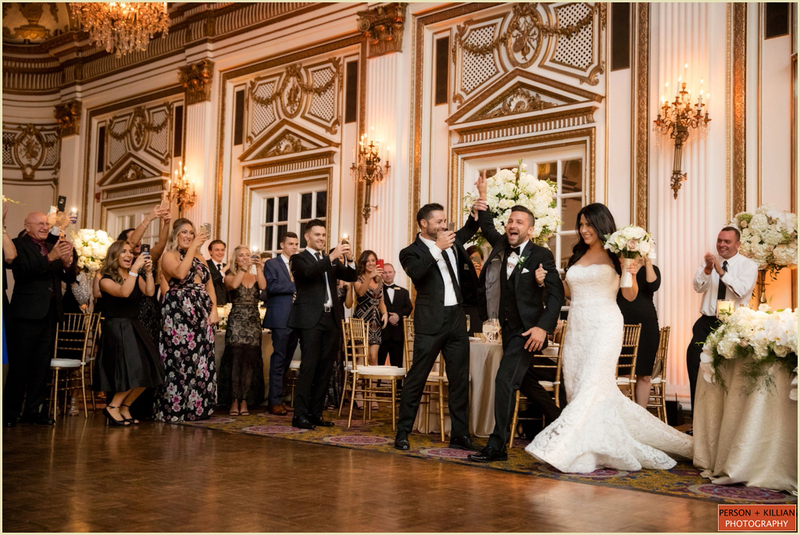 Following the first dance, dinner and father daughter dance, the Groom’s Lebanese cultural traditional of the money dance brought guests to their feet to open the dance floor during the mother son dance. 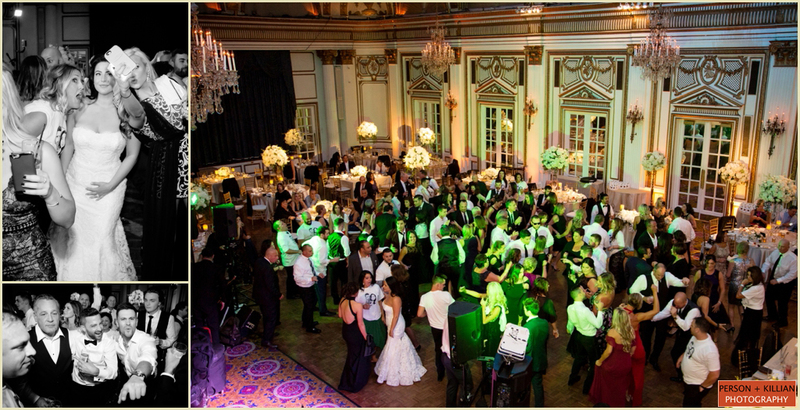 Boston based band Kahootz kept everyone on their feet for the rest of the celebration. 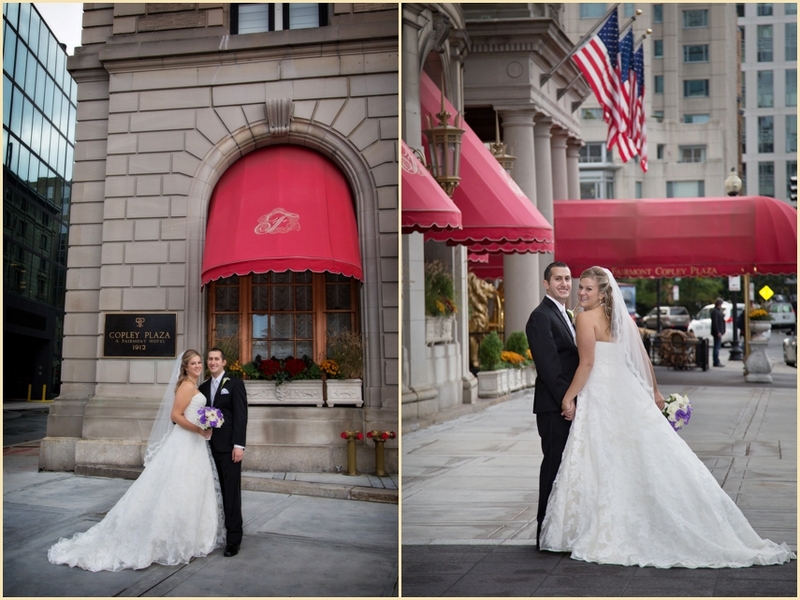 Thank you to the Fairmont team for always being so great to work with and a big thank you and congratulations to Natalie and John for being to wonderful and fun to capture throughout their wedding day!